Maddie and David picked the stunning Clark Park for their wedding ceremony, just back from Wendy’s Secret Garden. 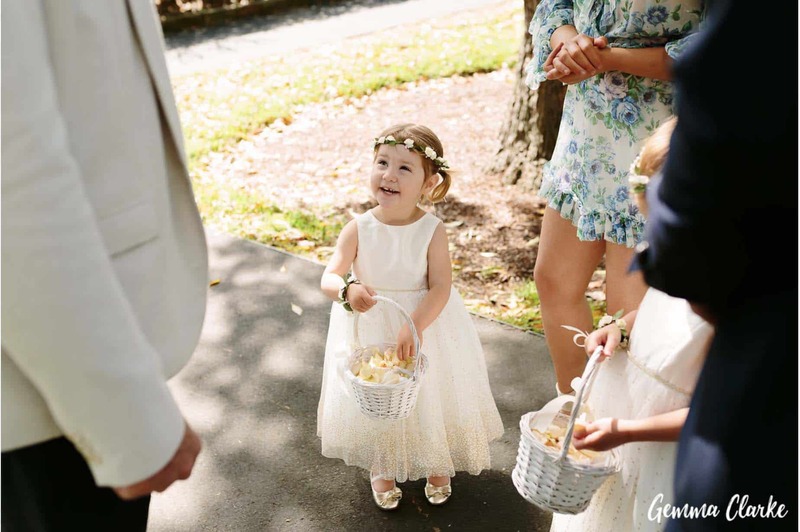 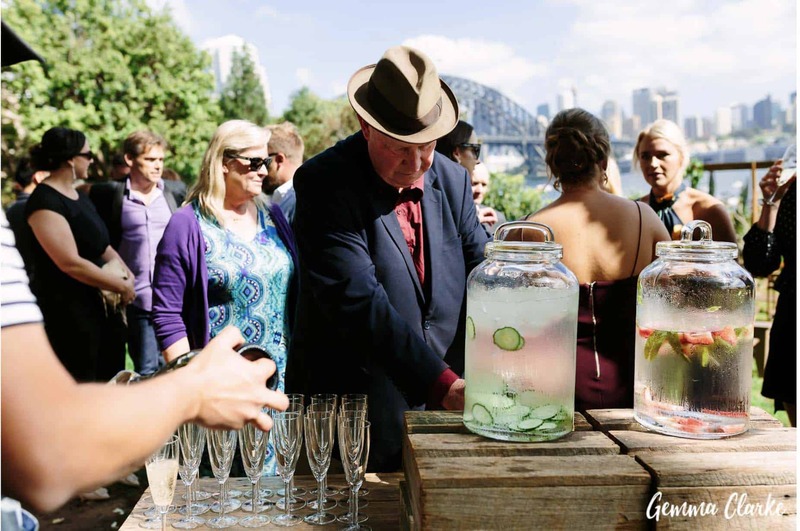 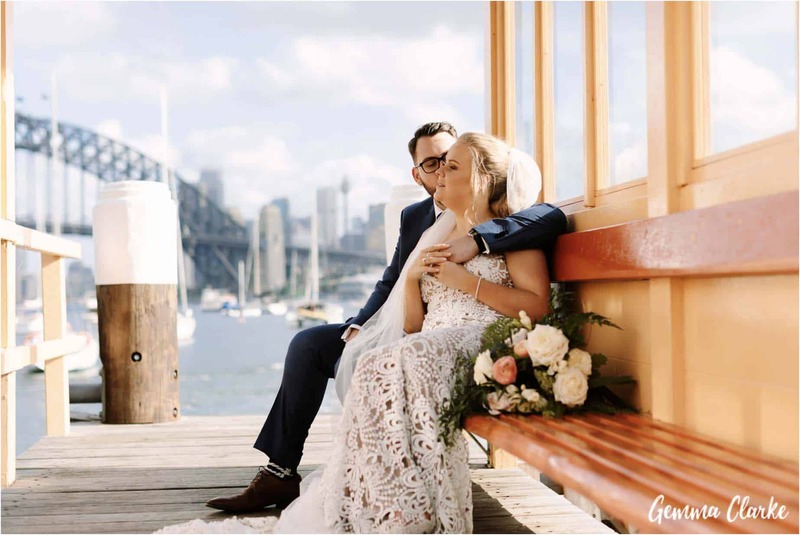 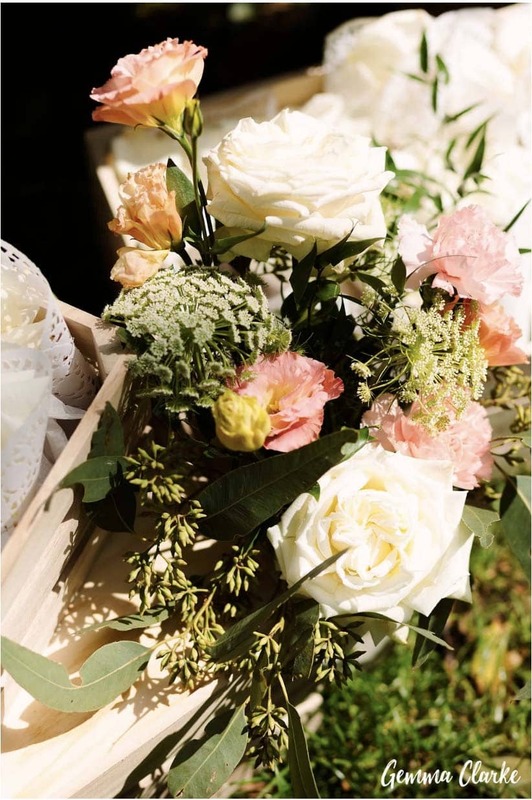 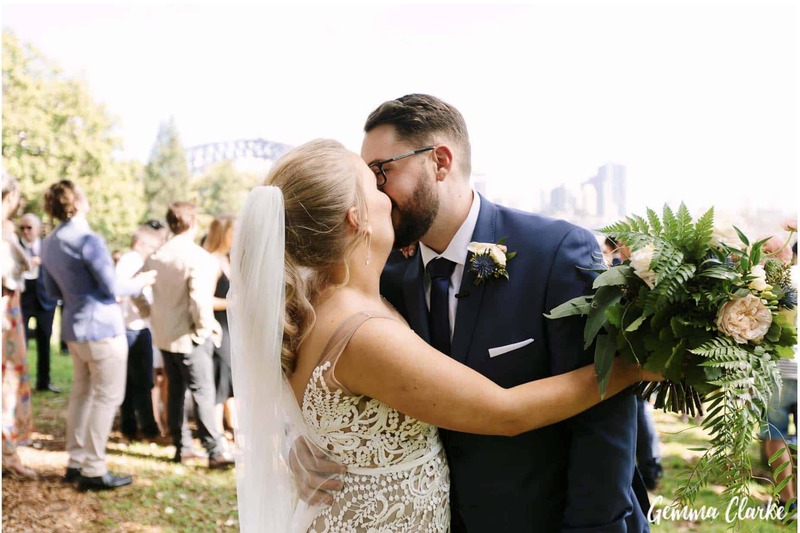 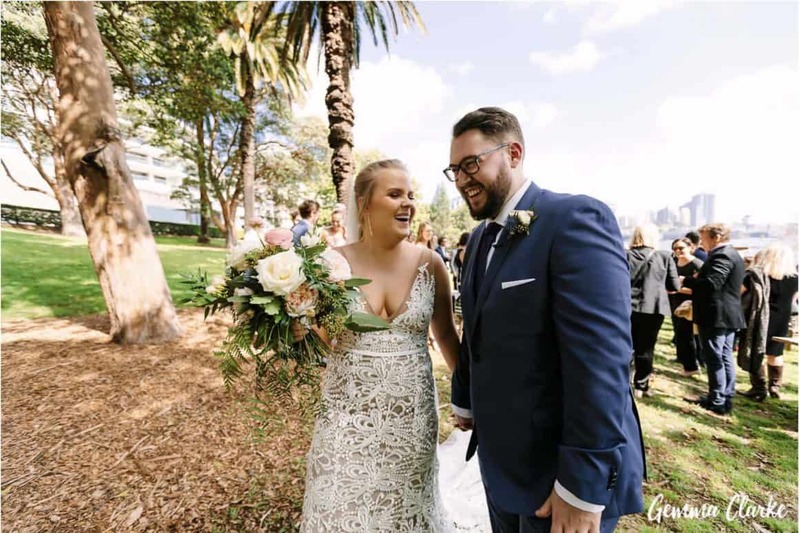 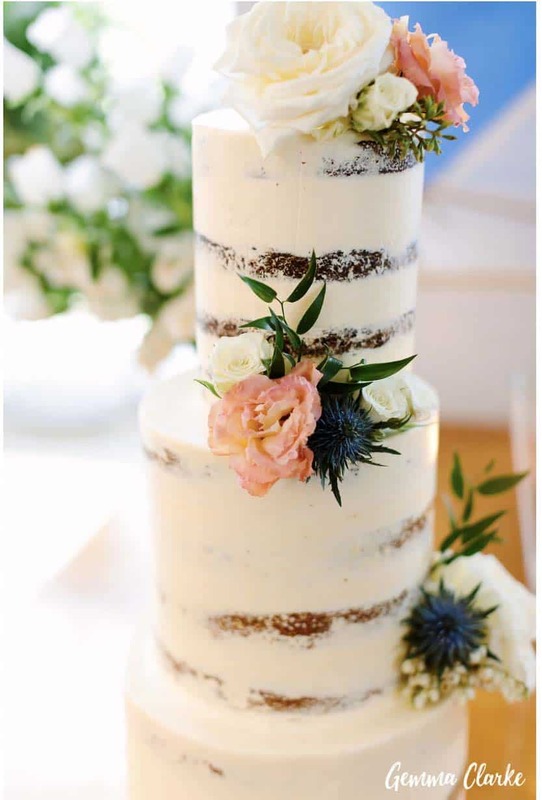 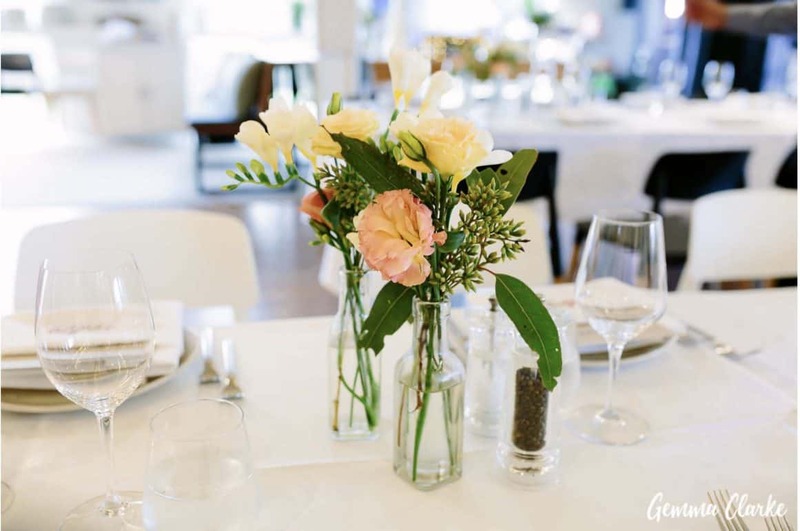 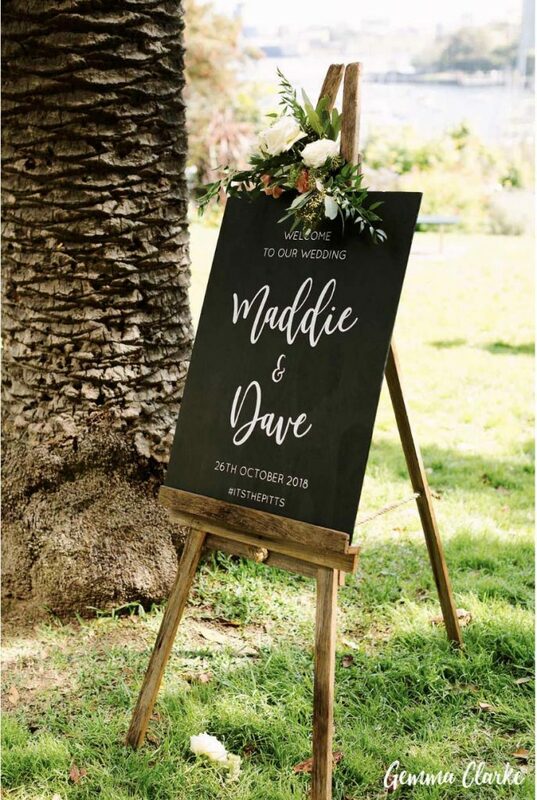 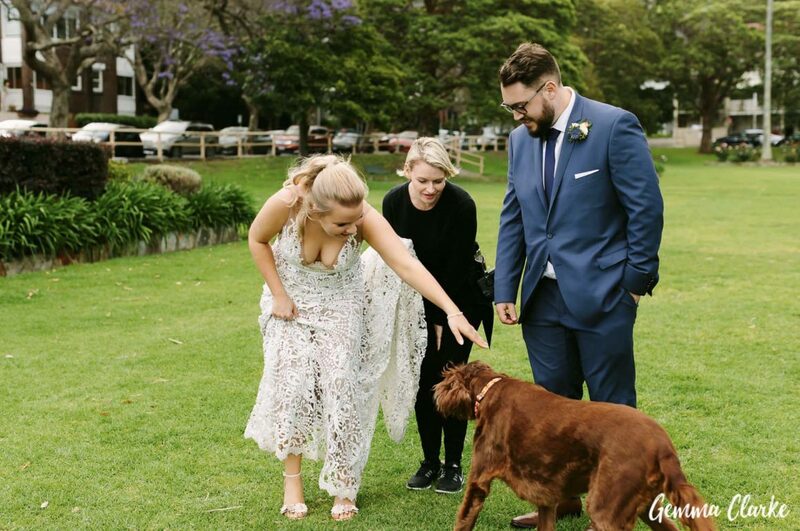 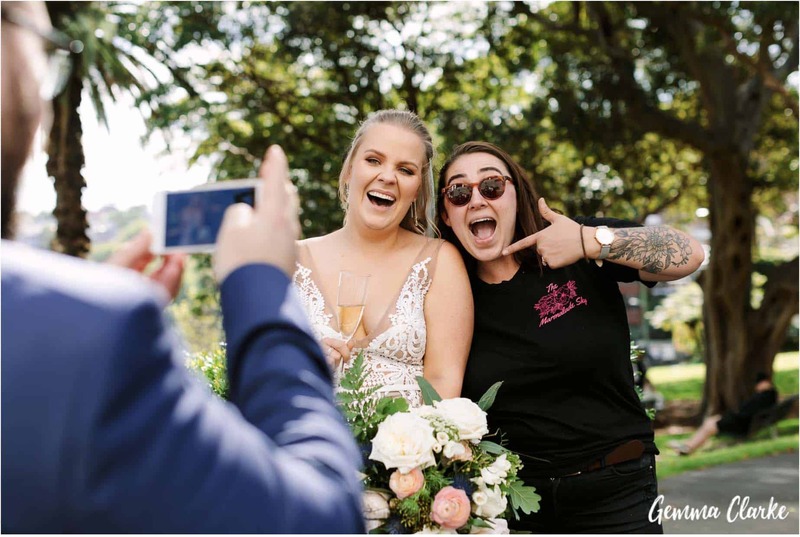 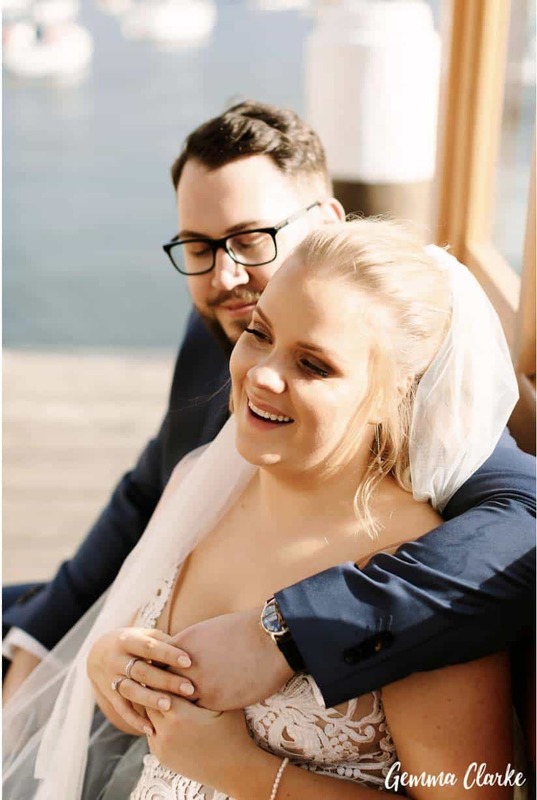 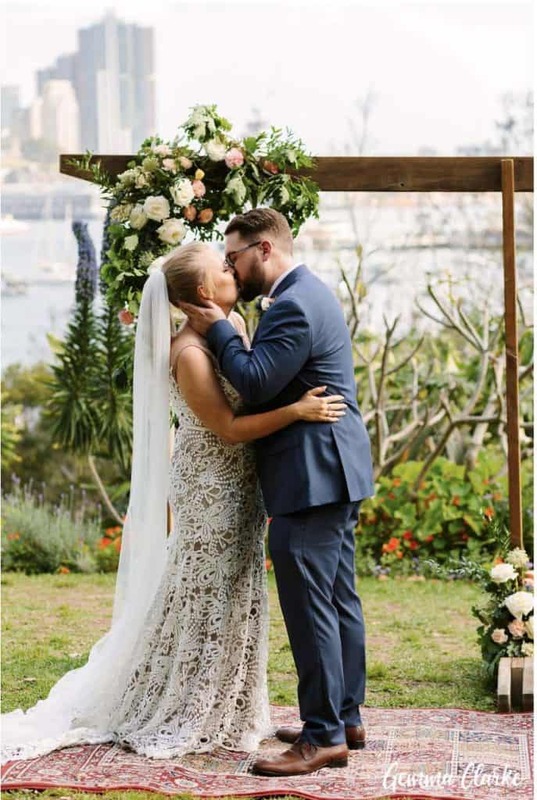 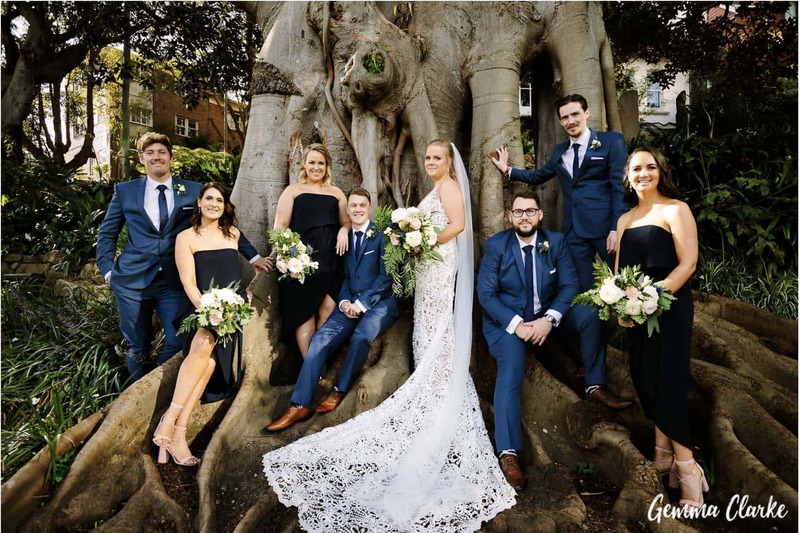 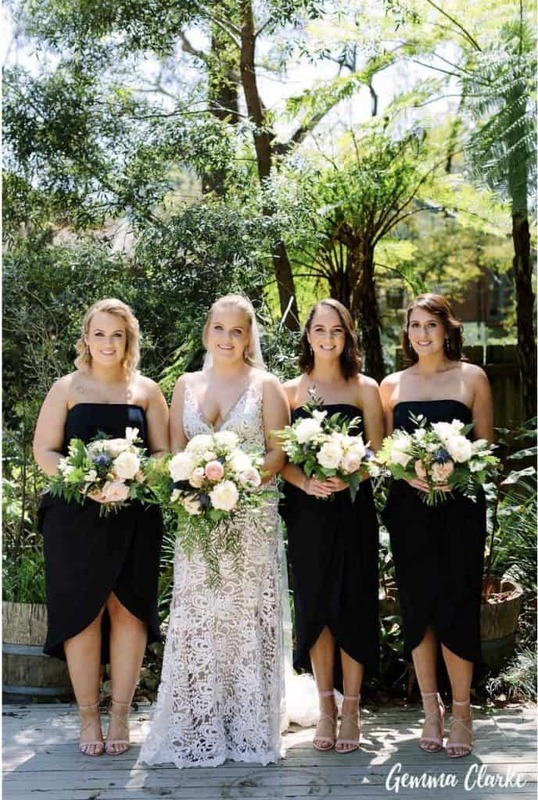 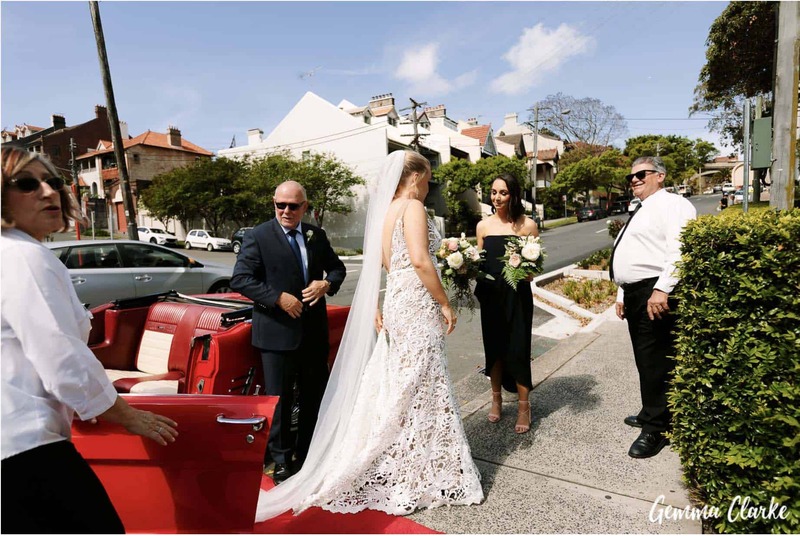 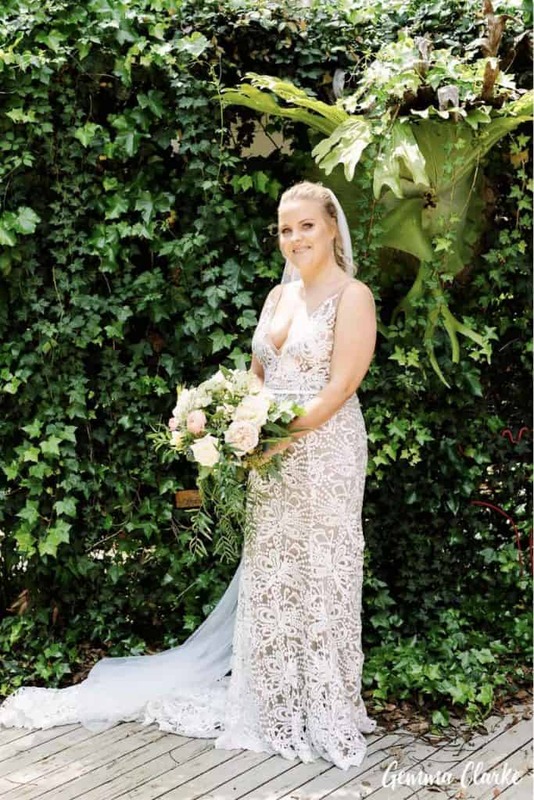 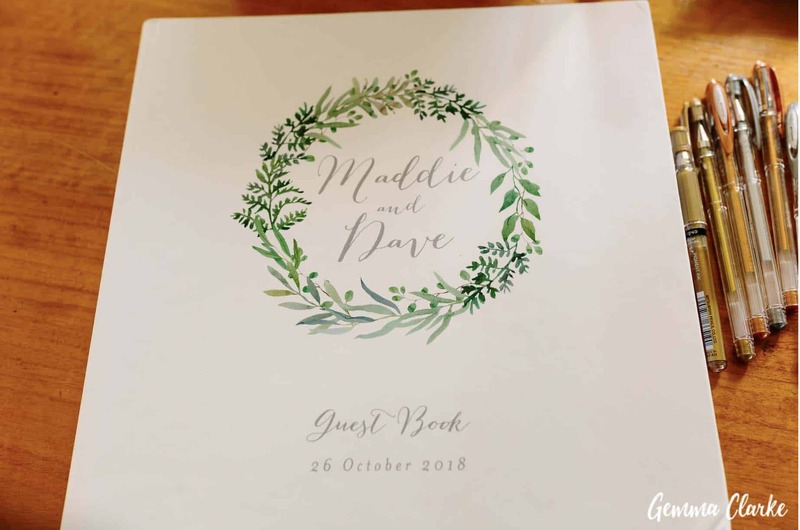 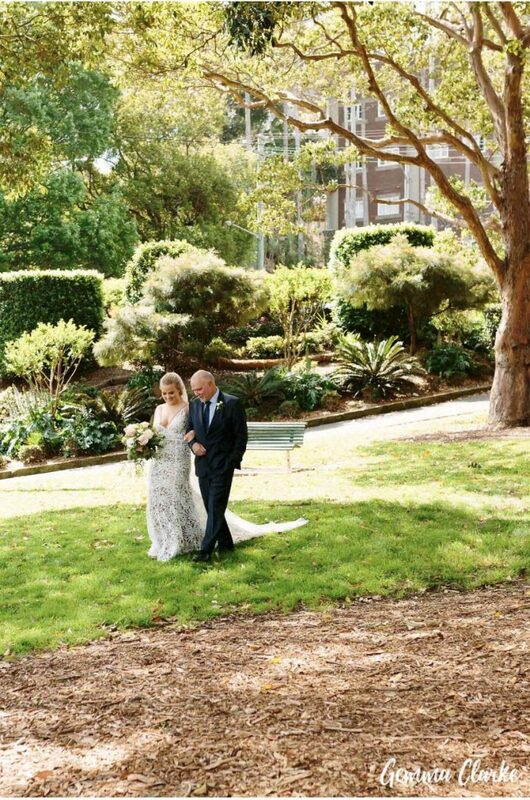 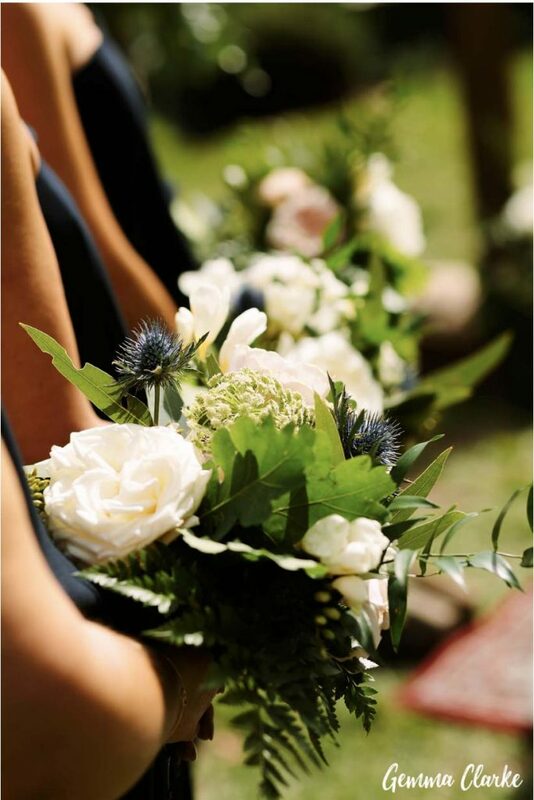 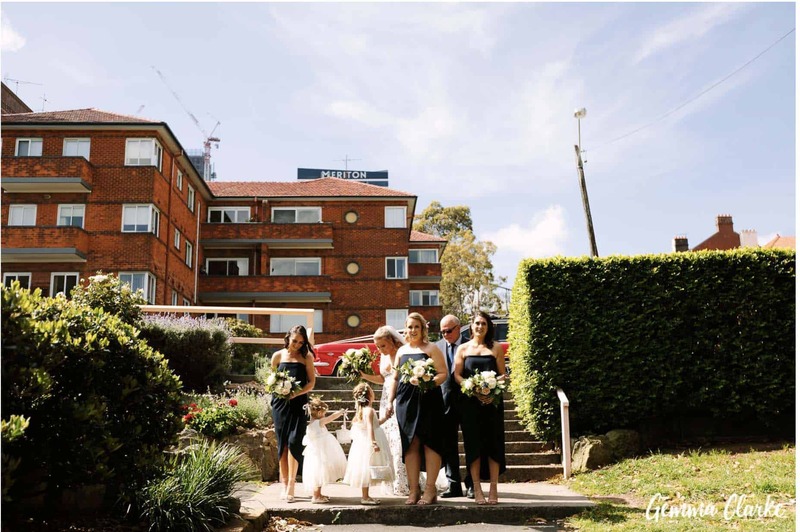 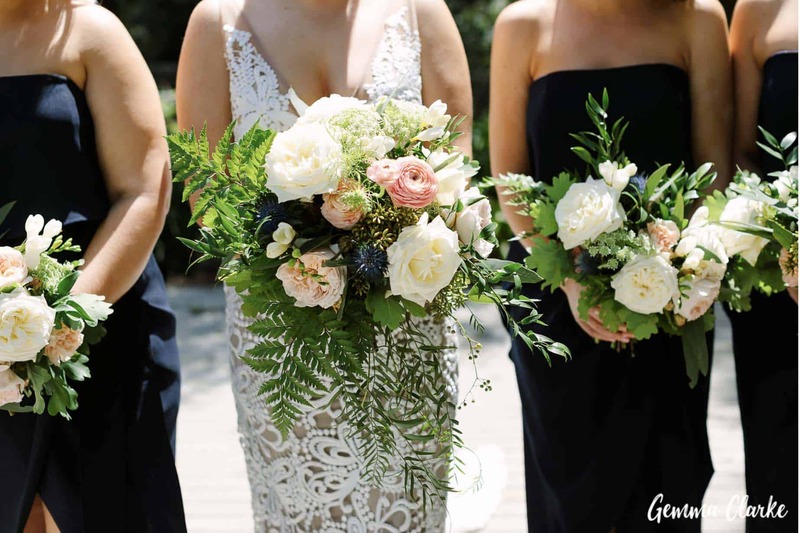 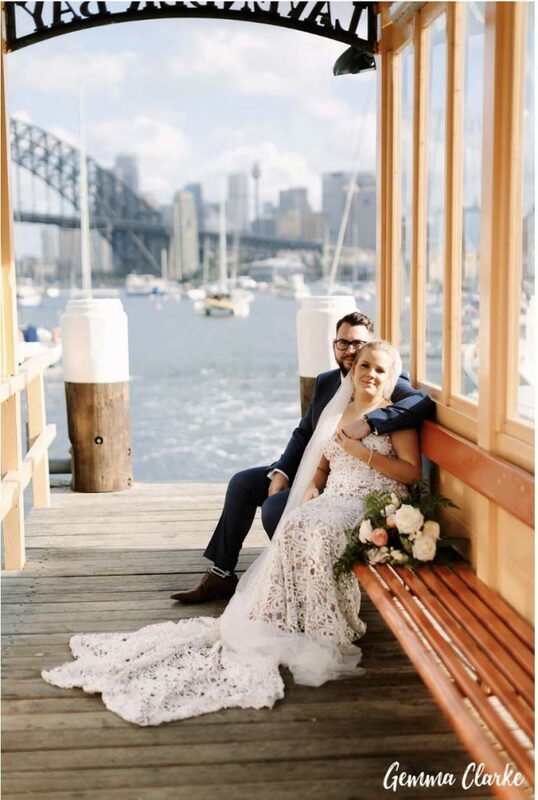 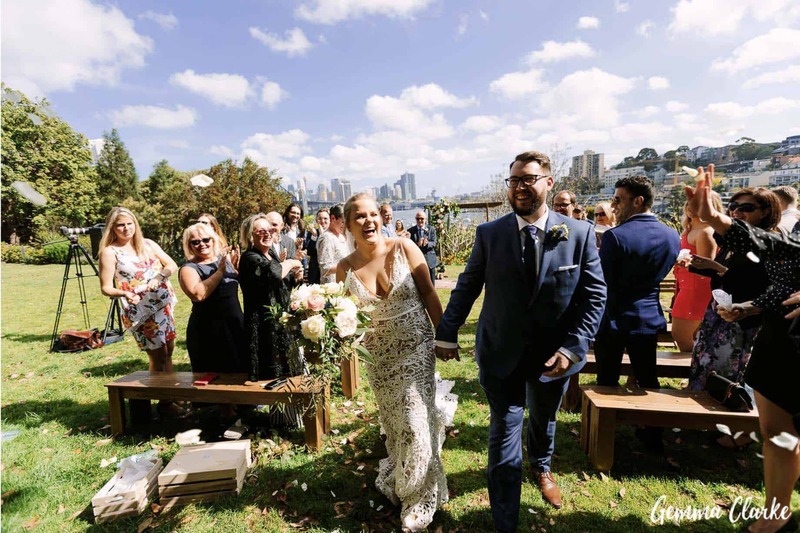 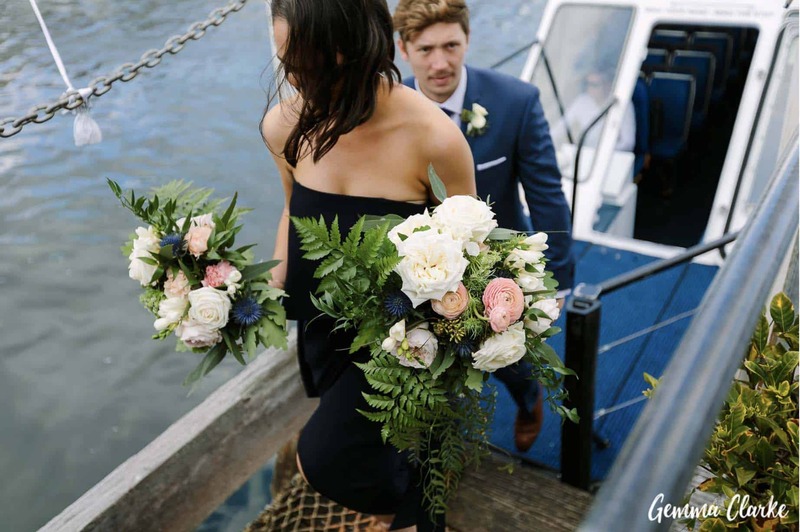 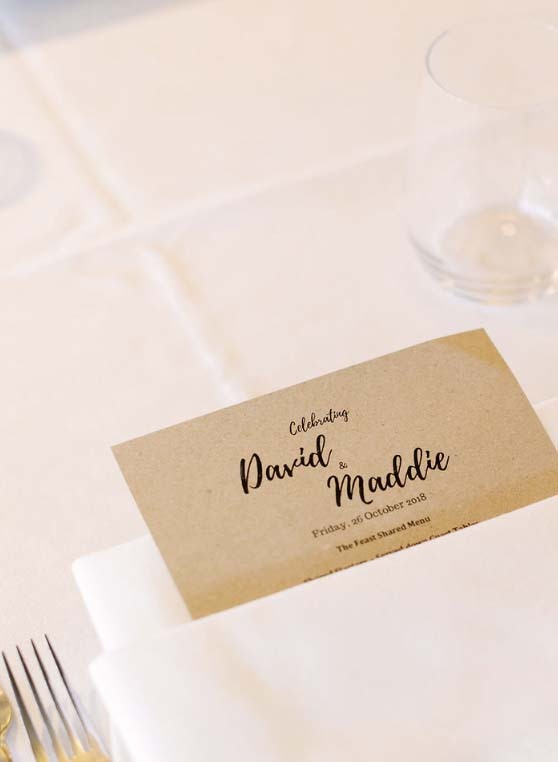 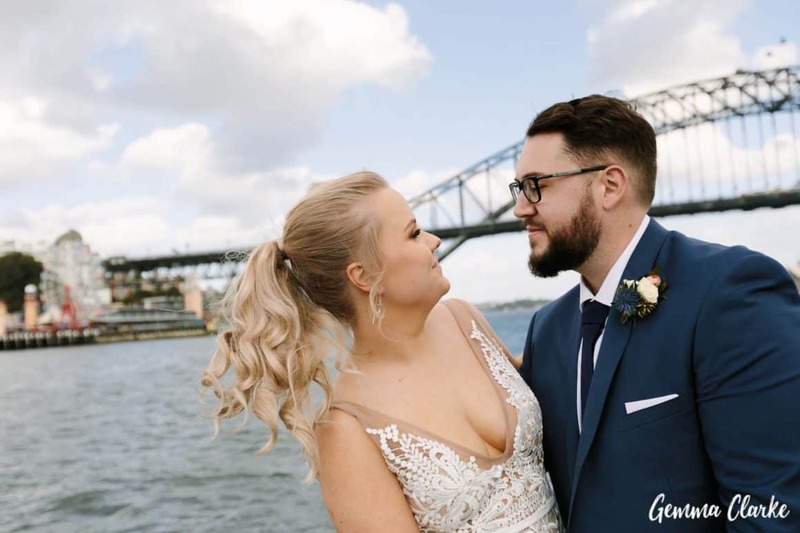 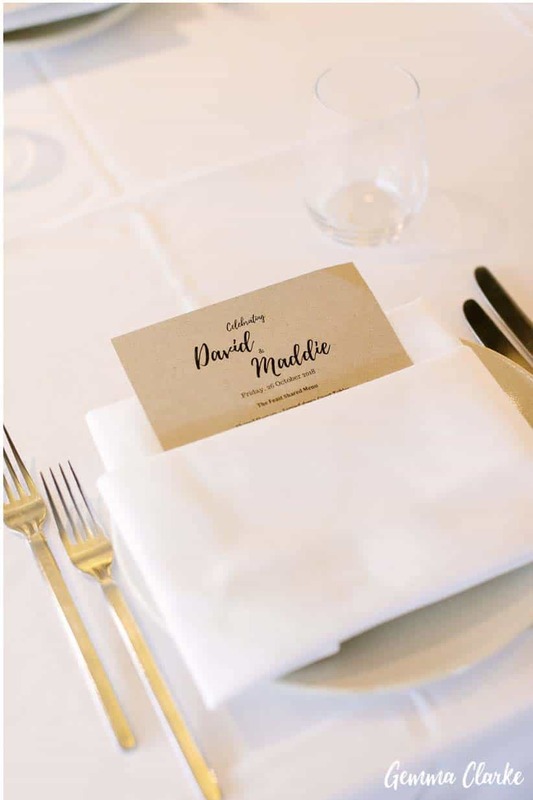 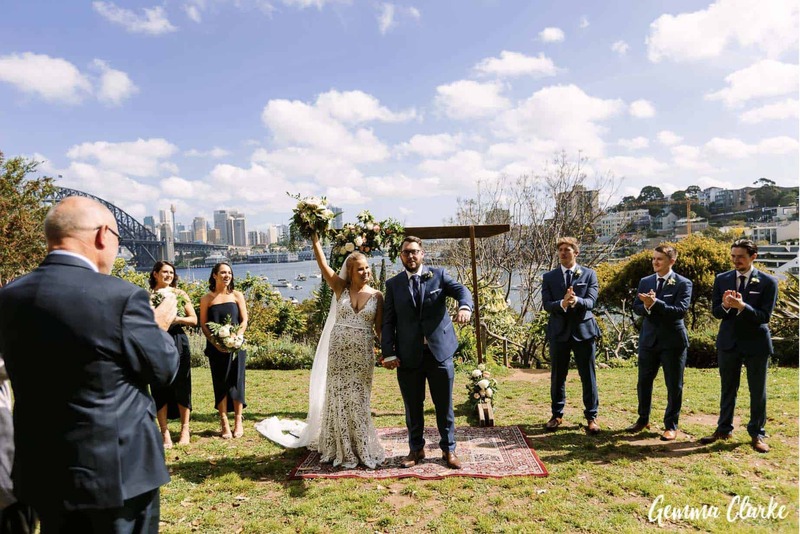 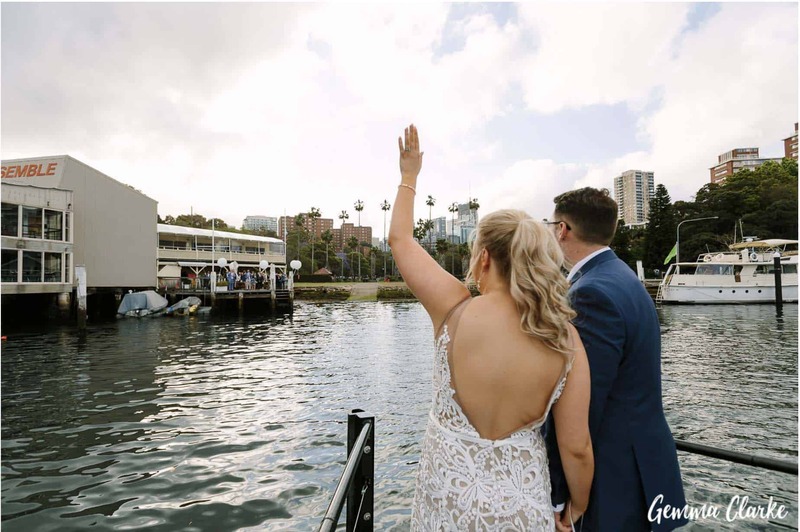 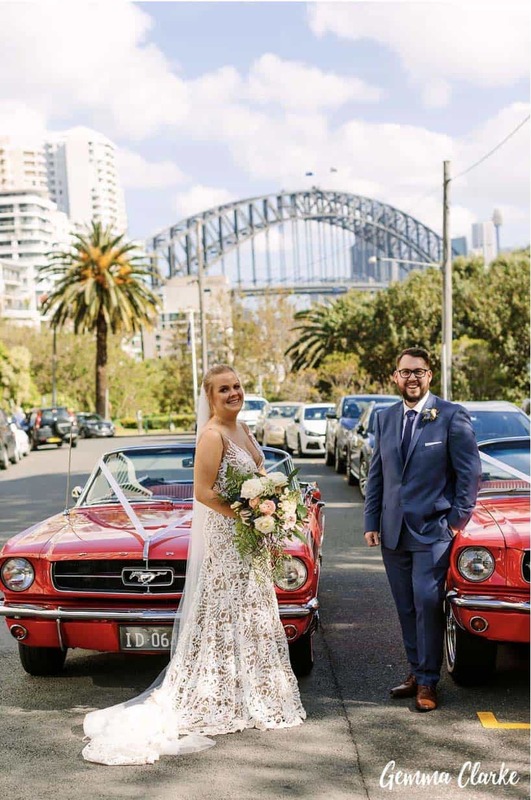 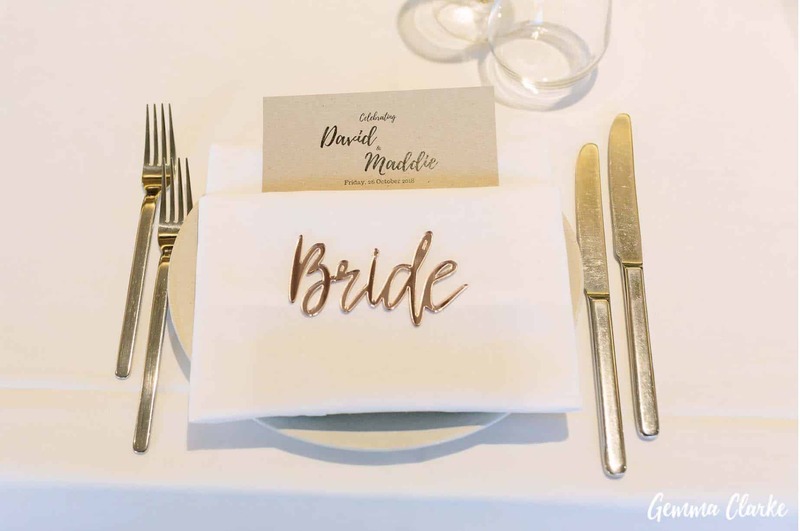 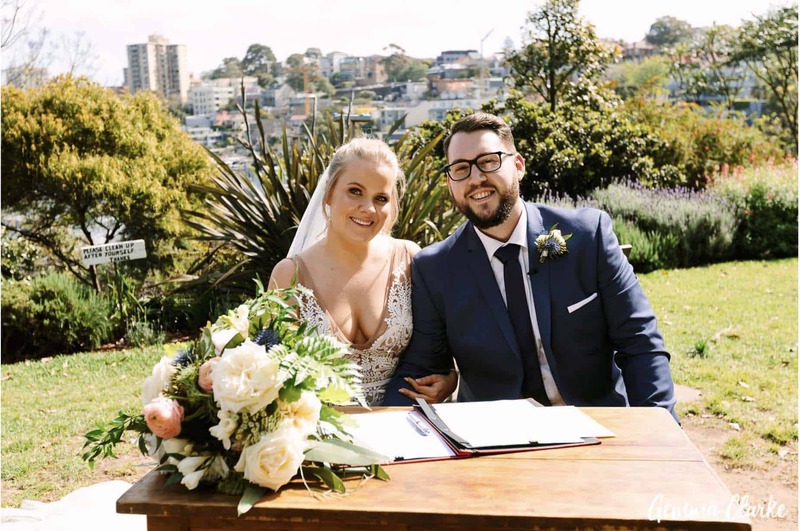 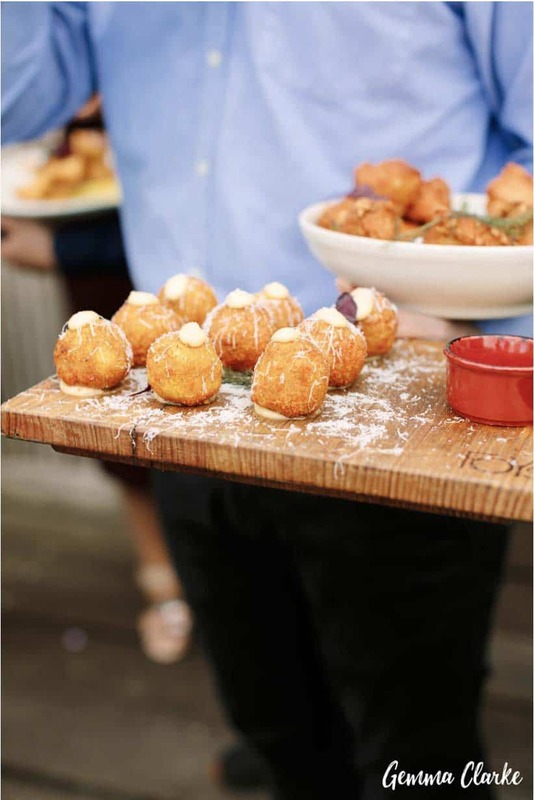 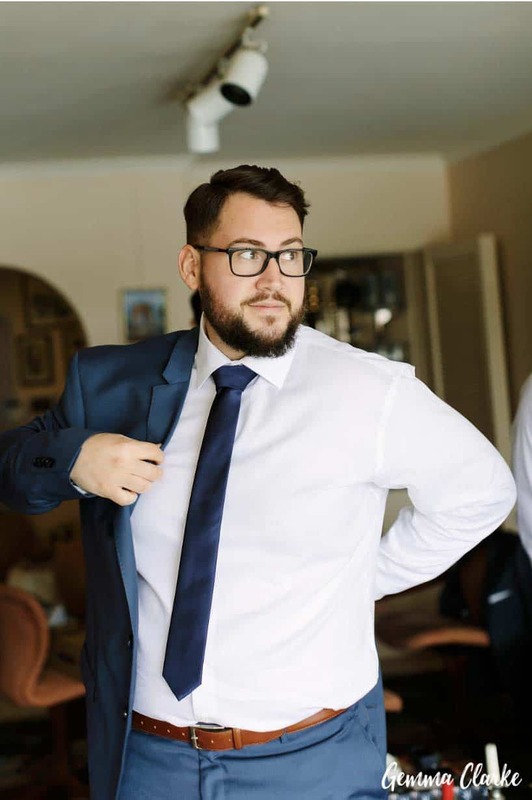 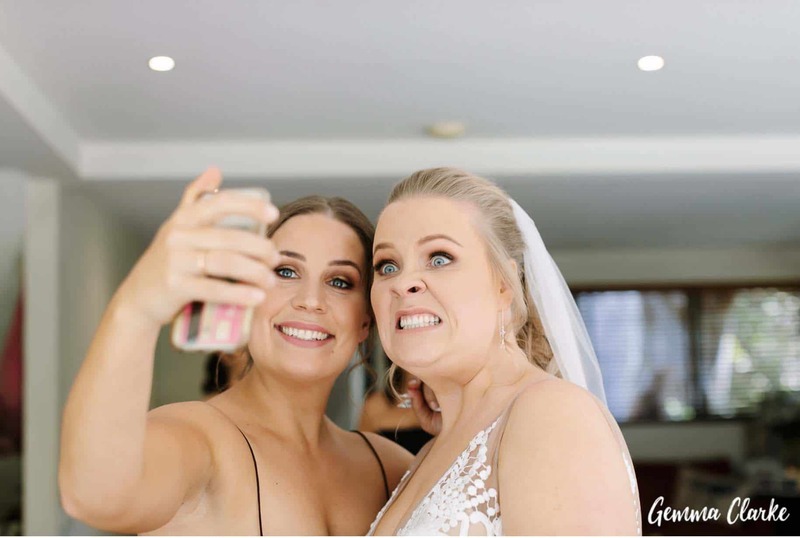 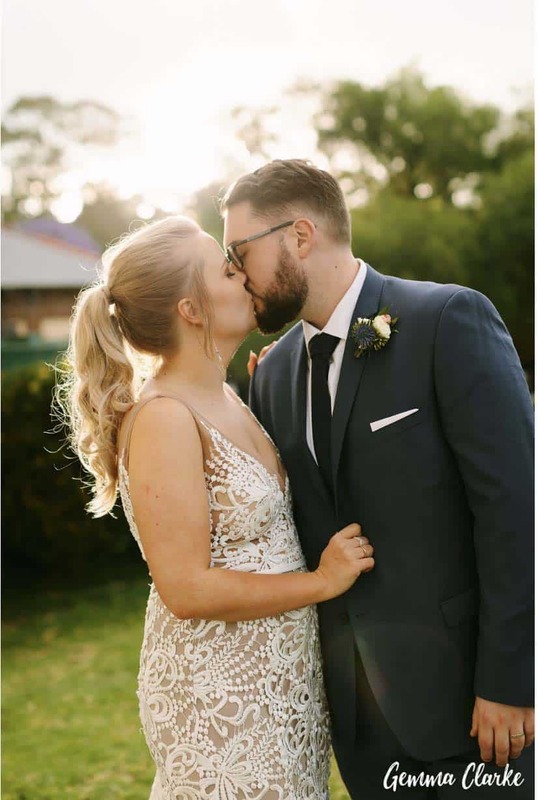 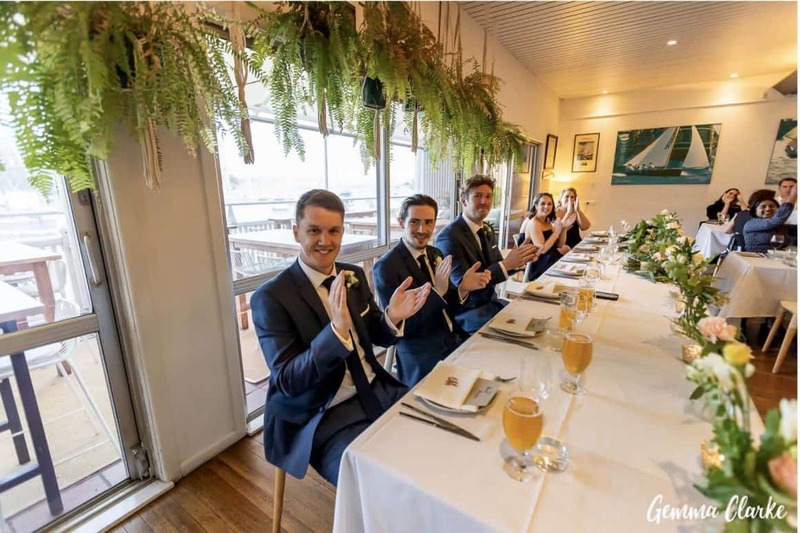 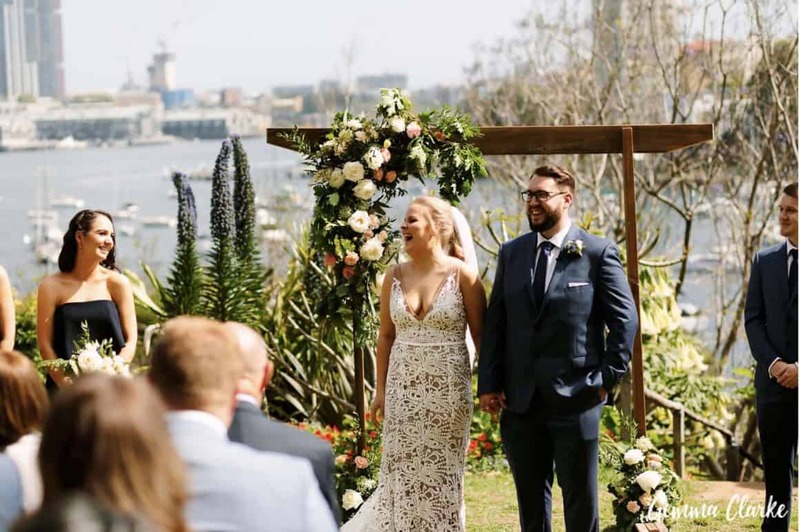 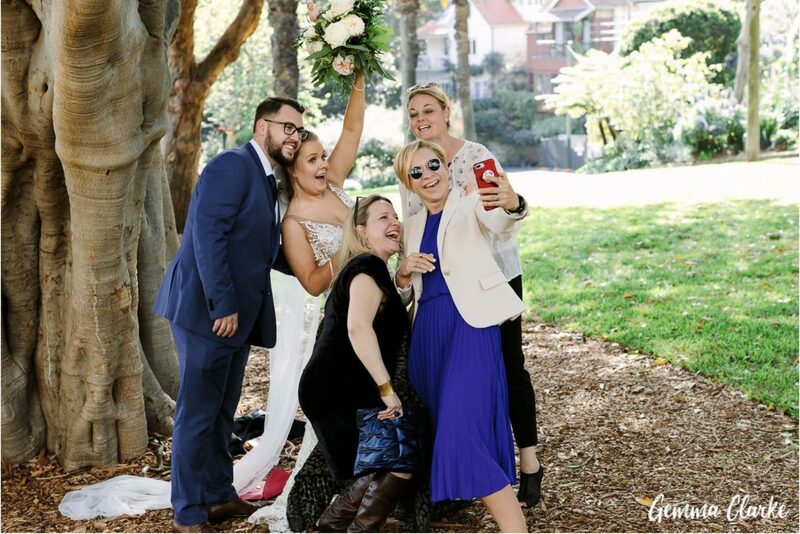 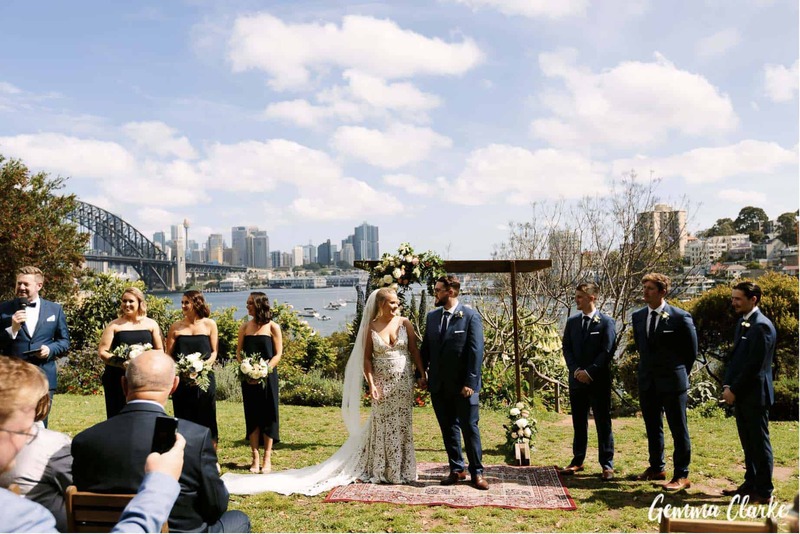 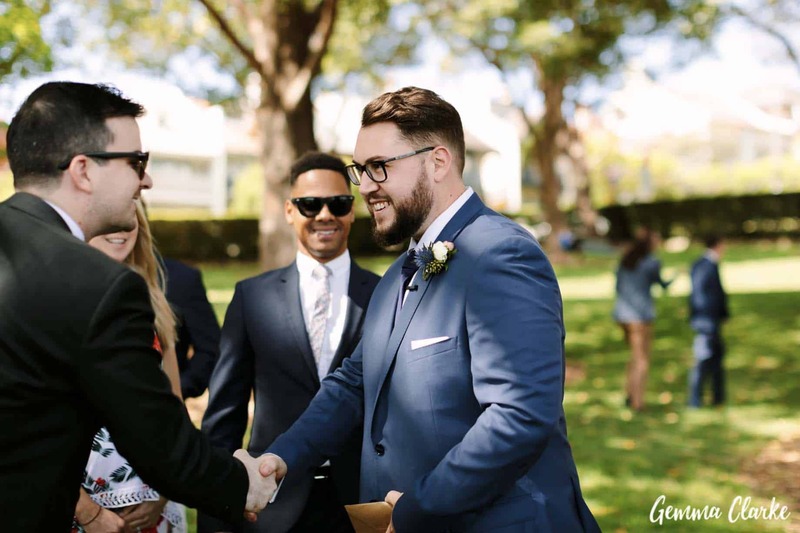 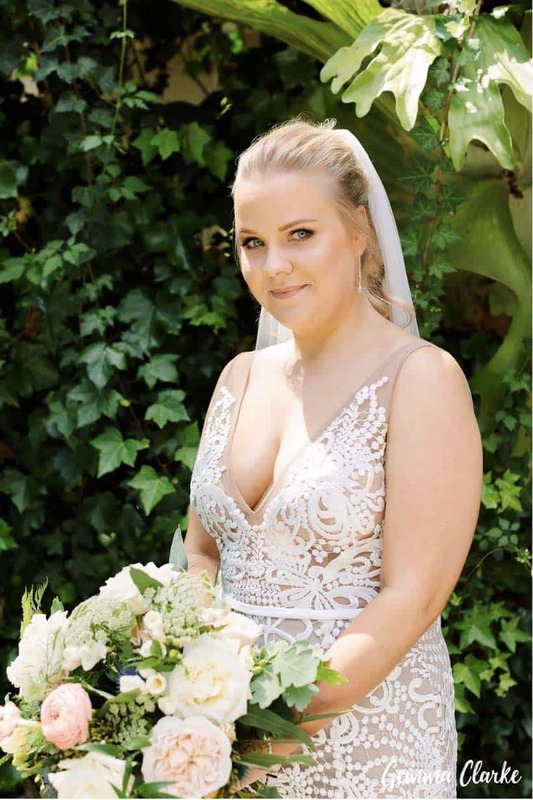 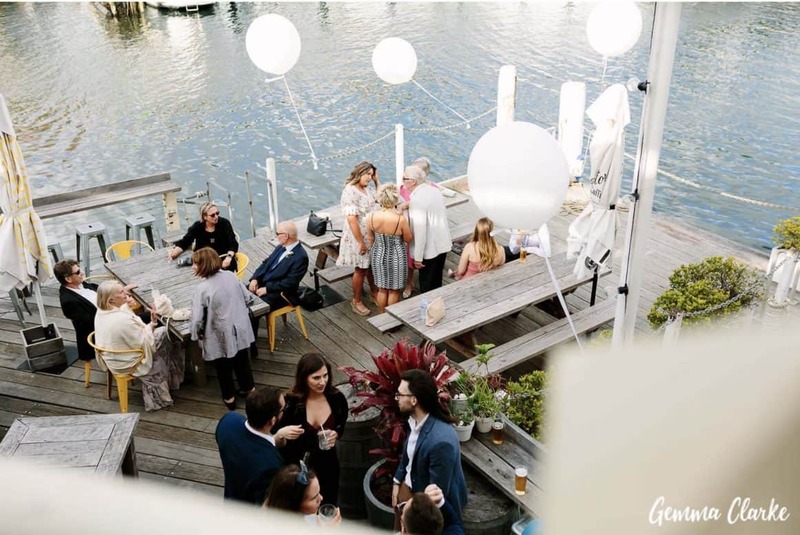 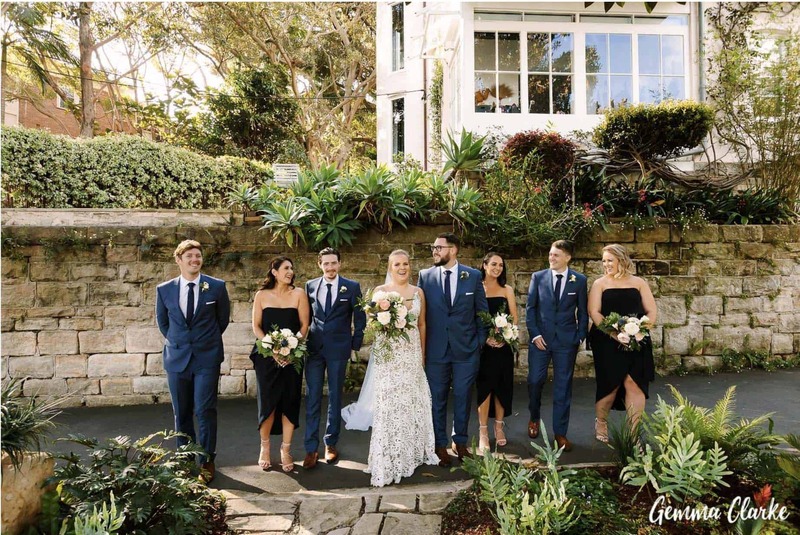 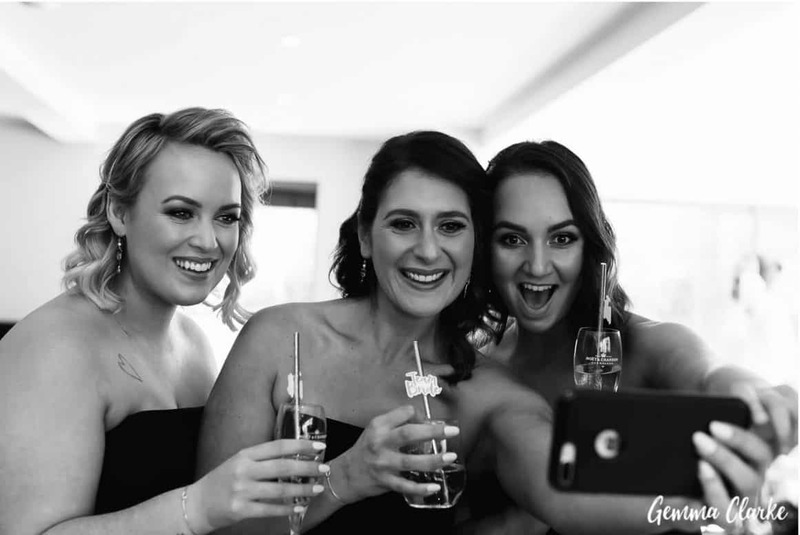 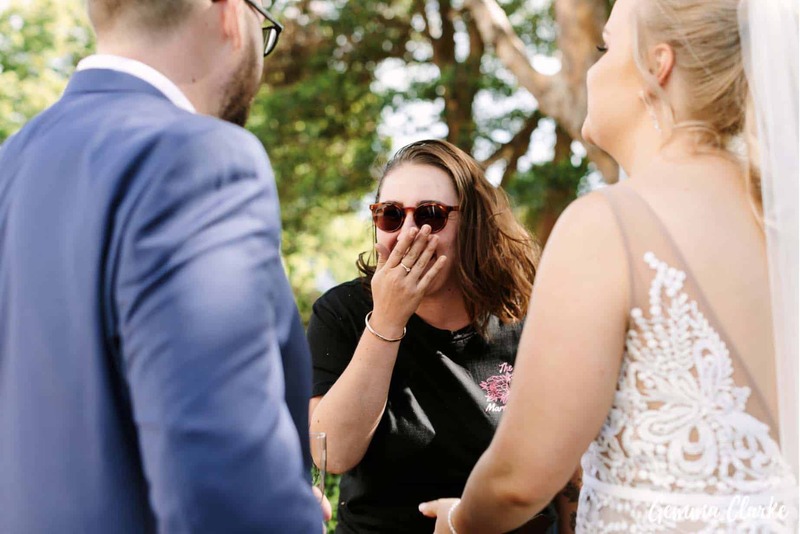 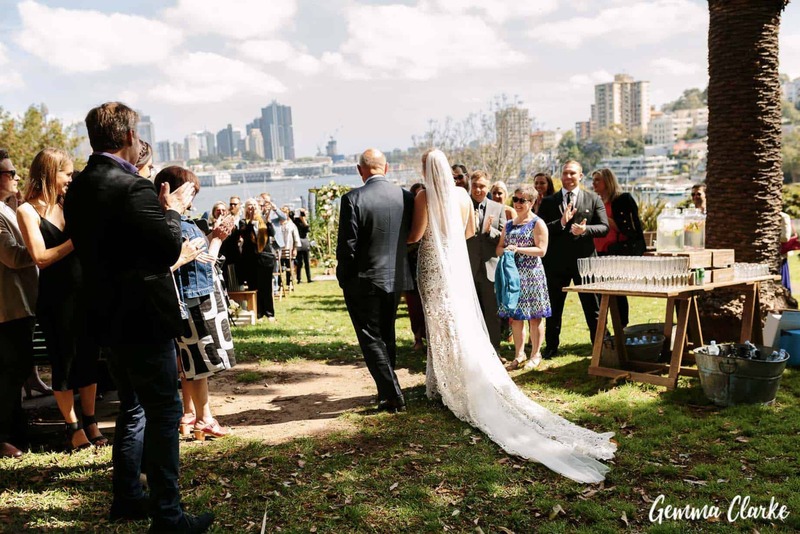 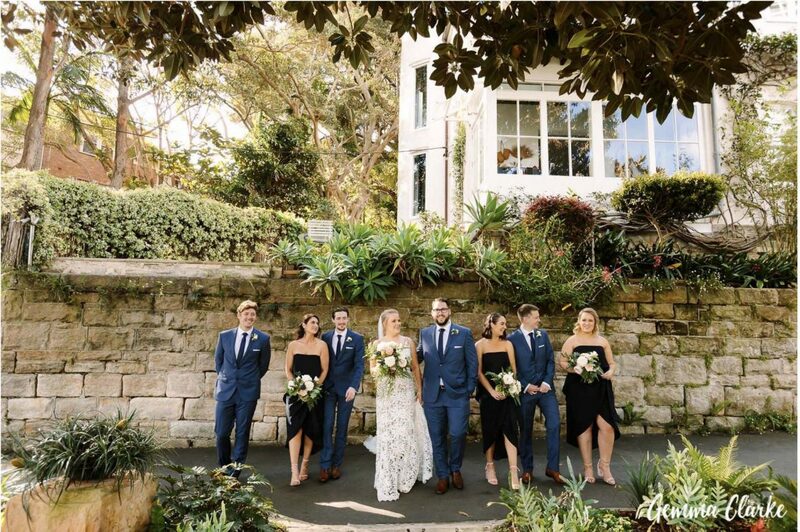 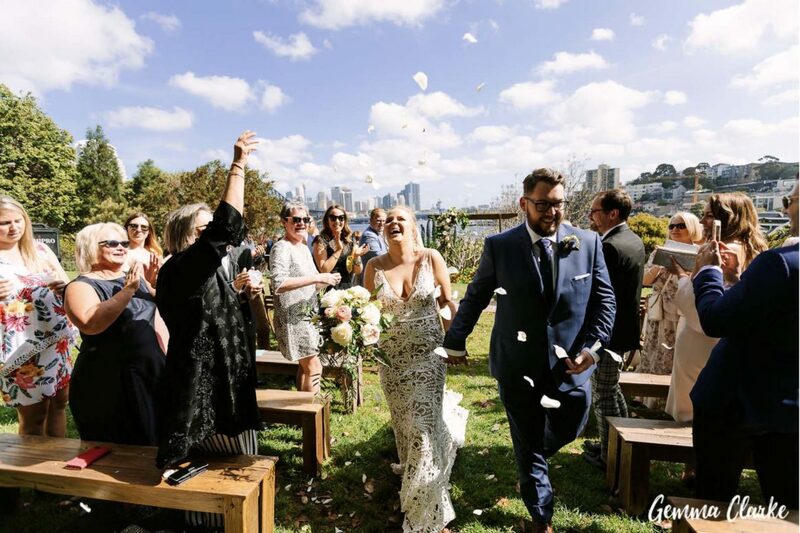 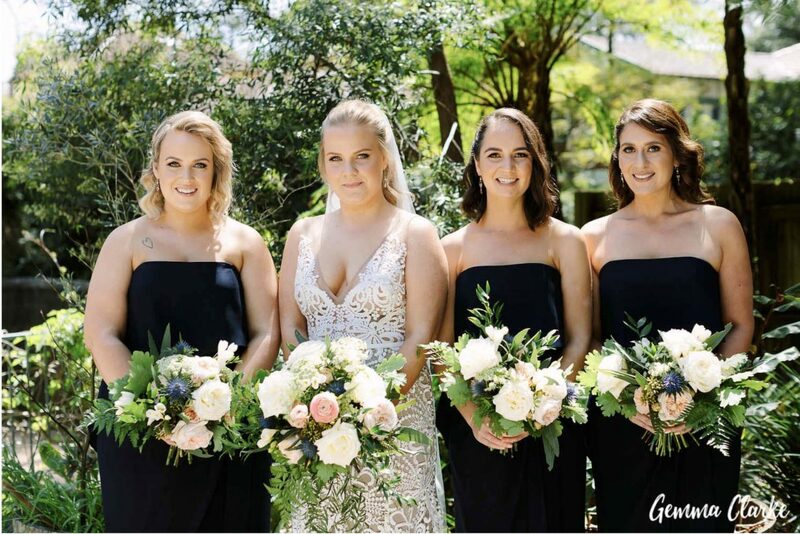 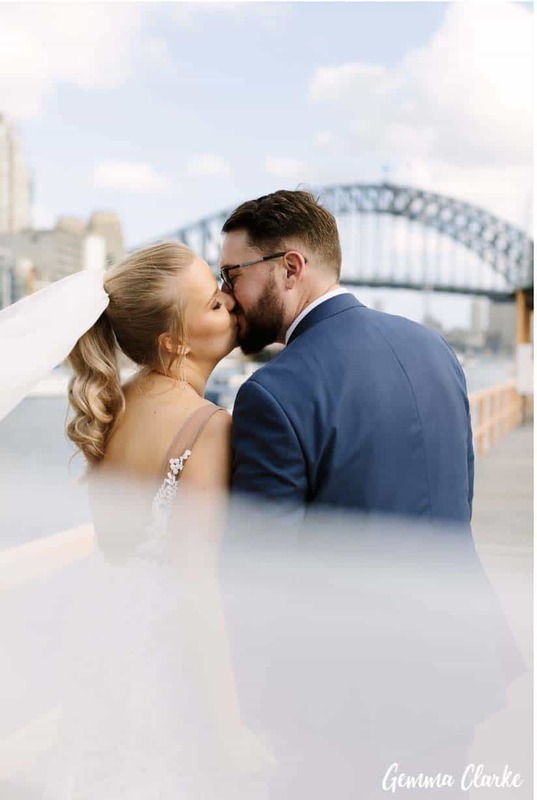 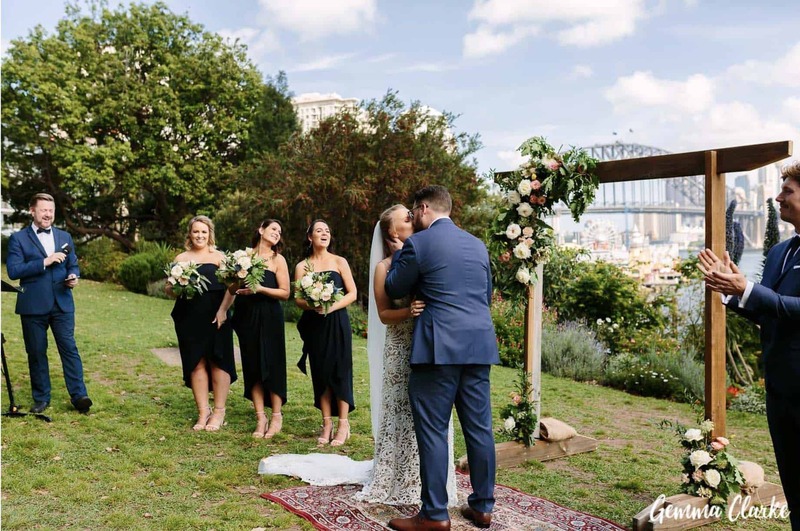 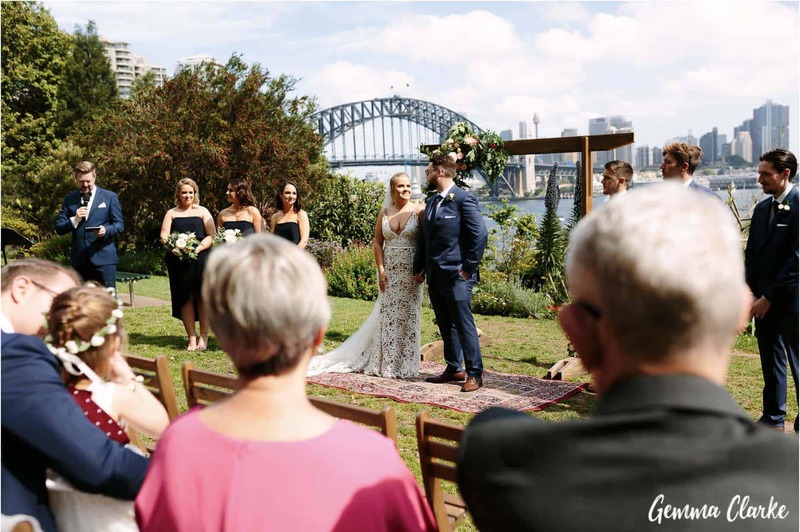 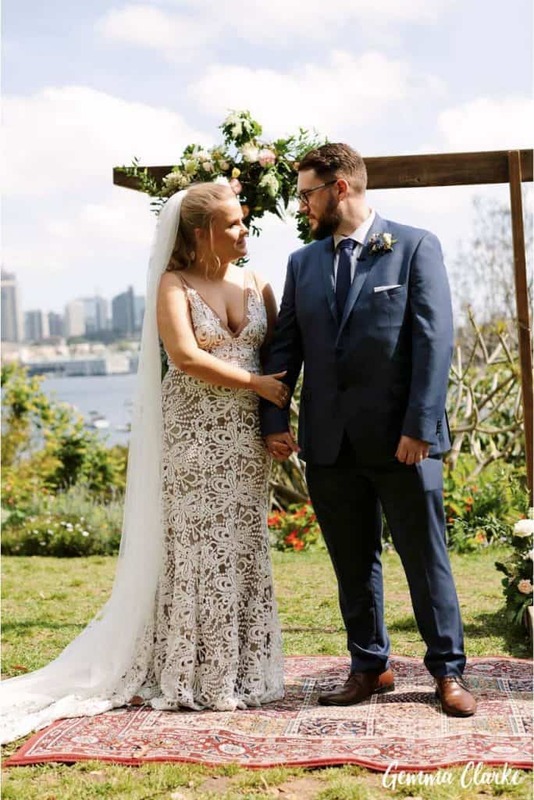 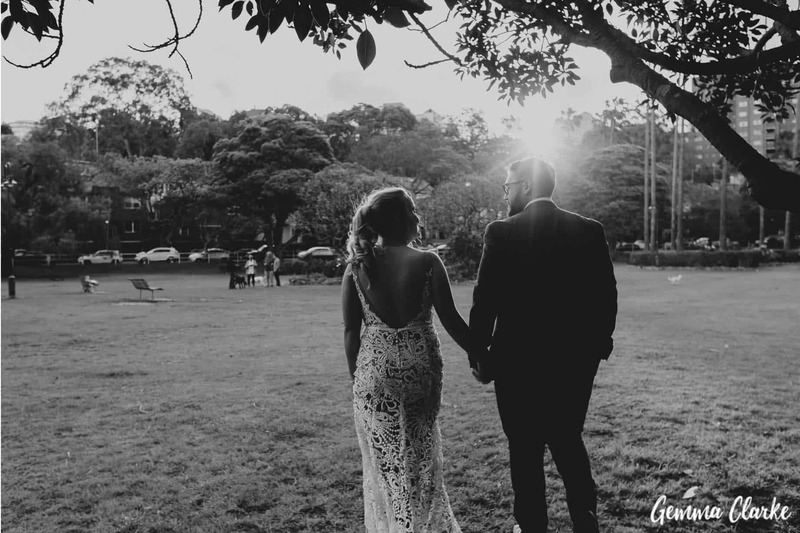 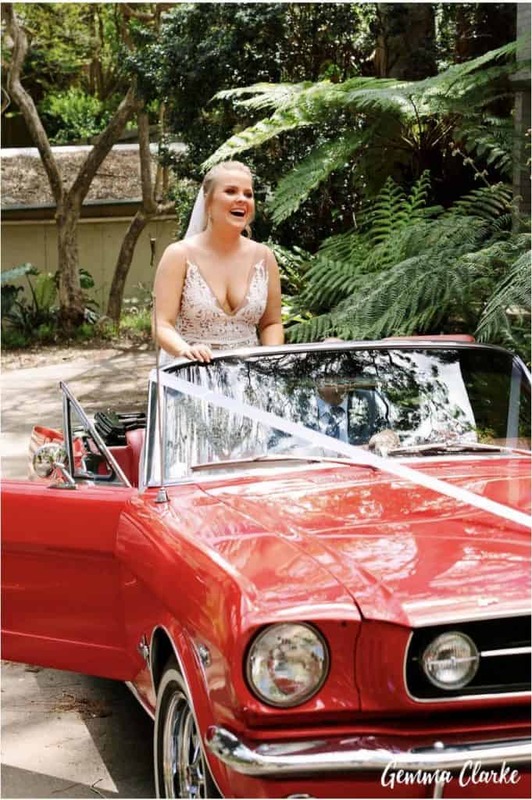 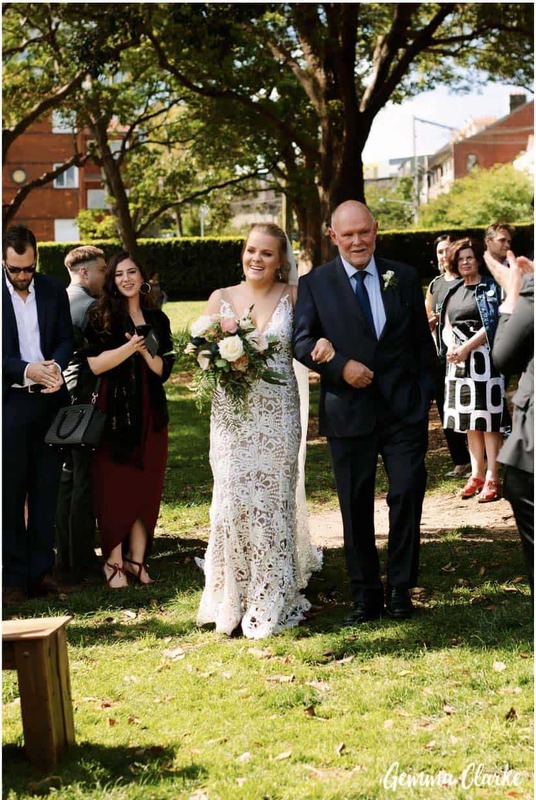 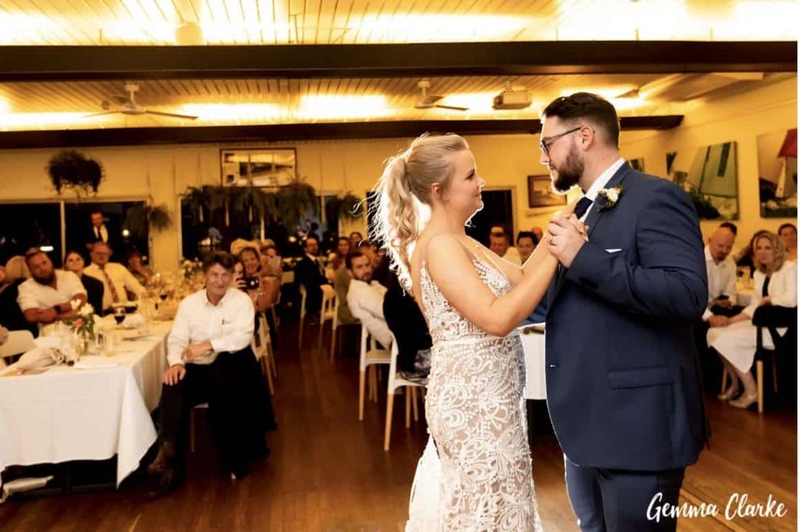 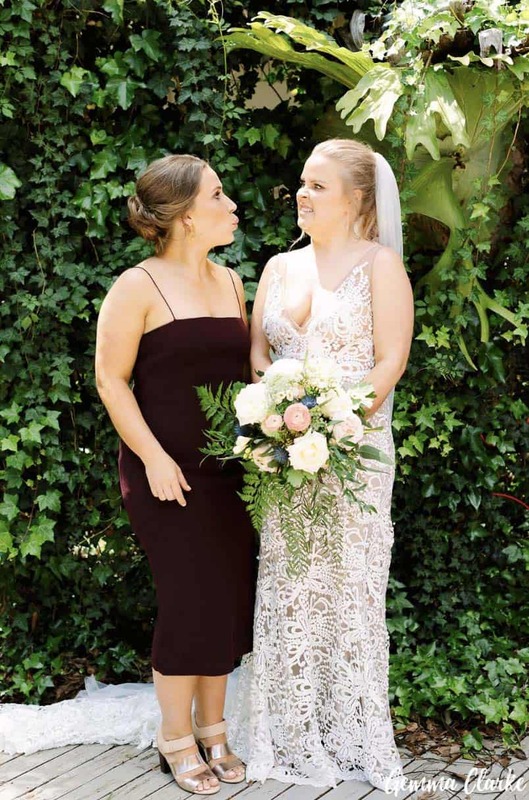 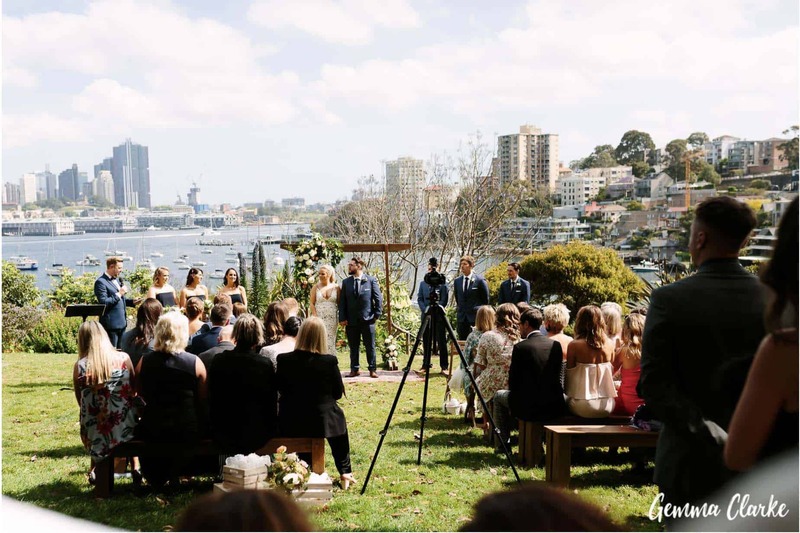 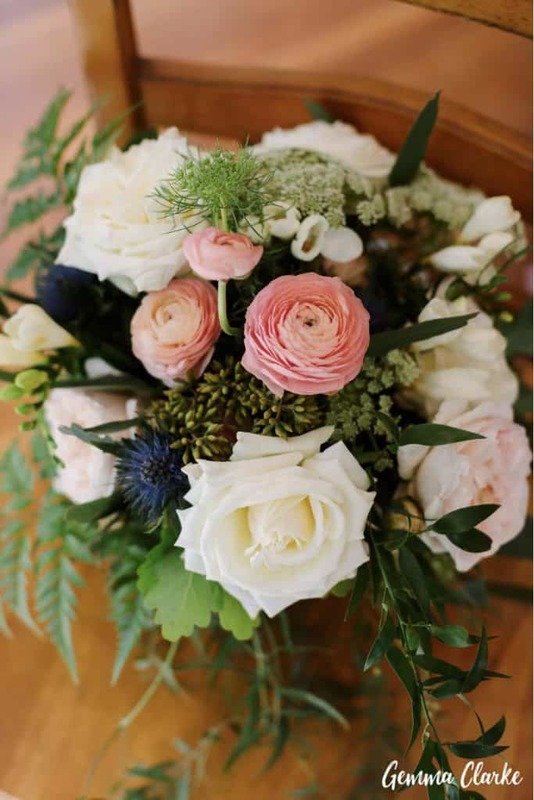 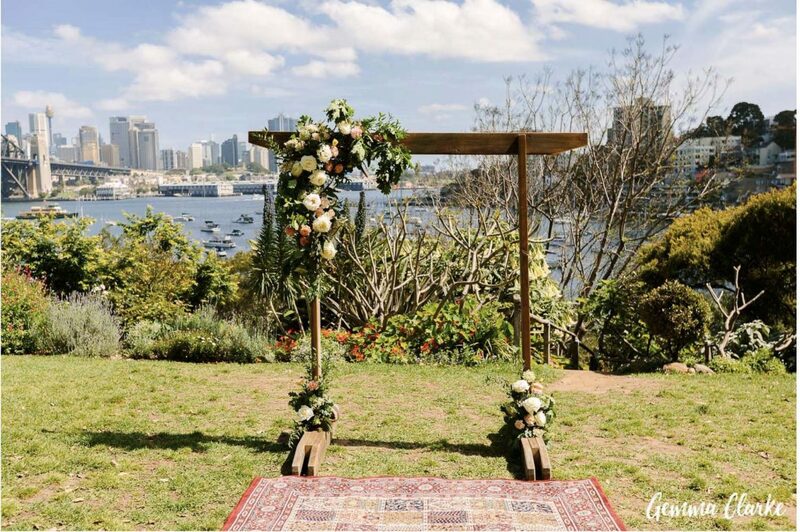 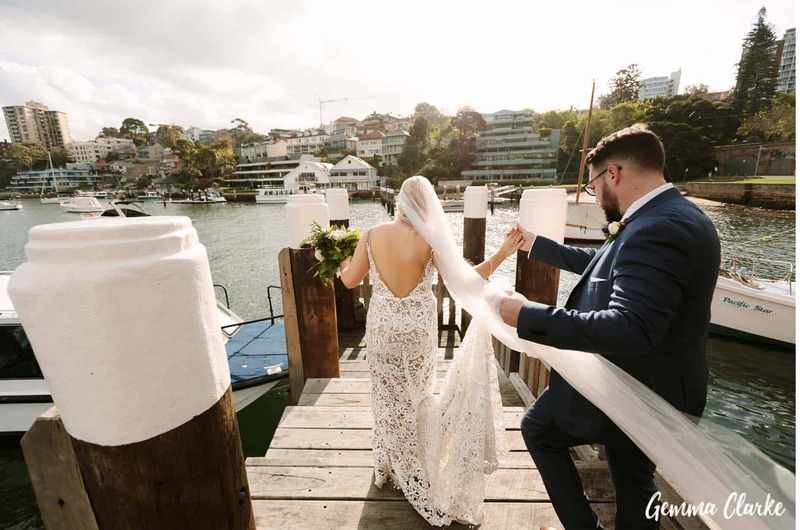 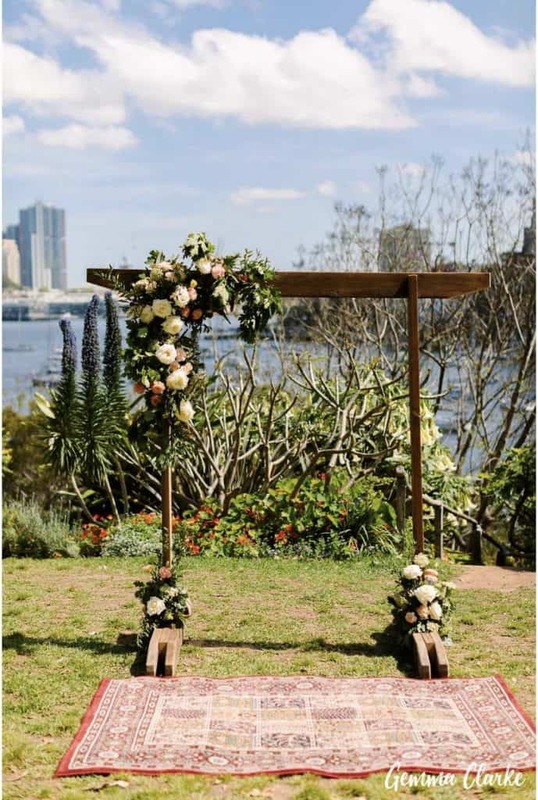 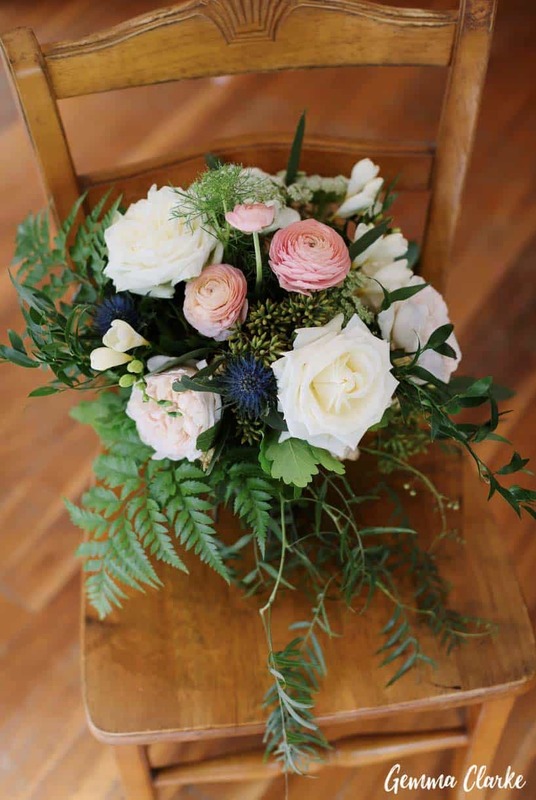 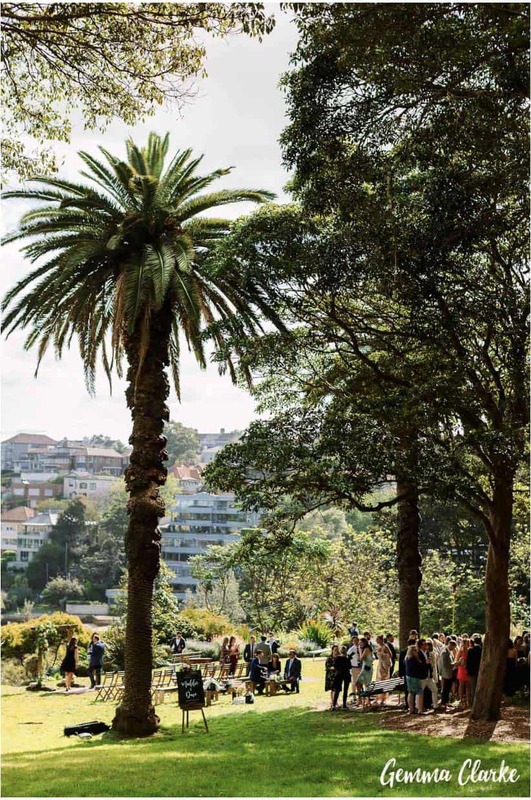 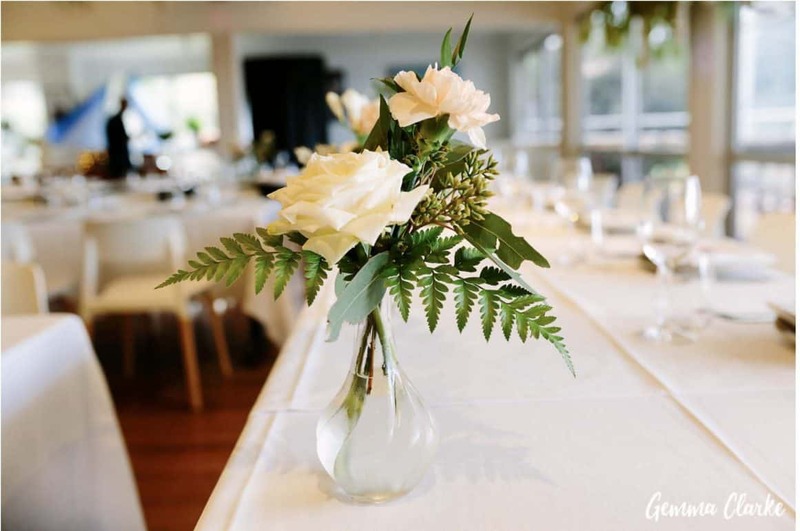 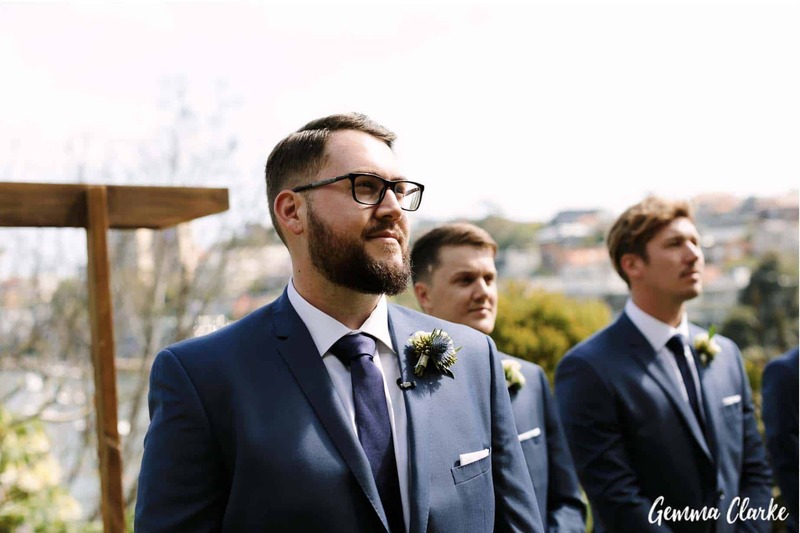 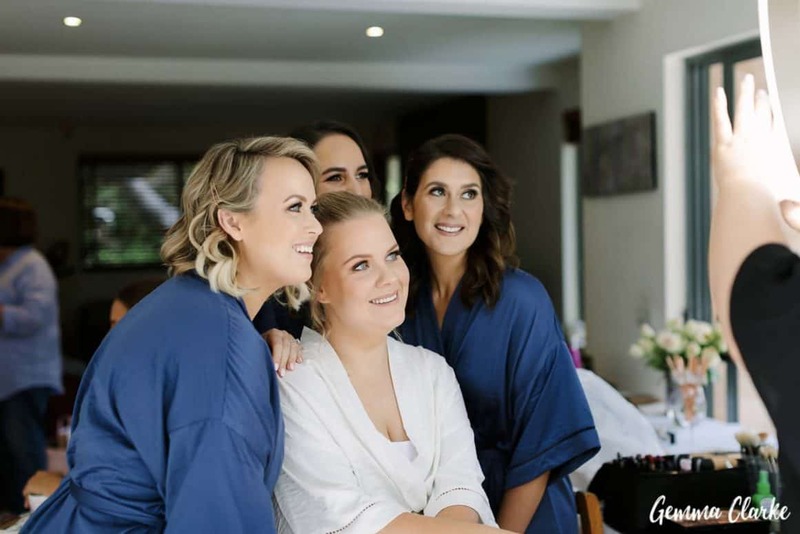 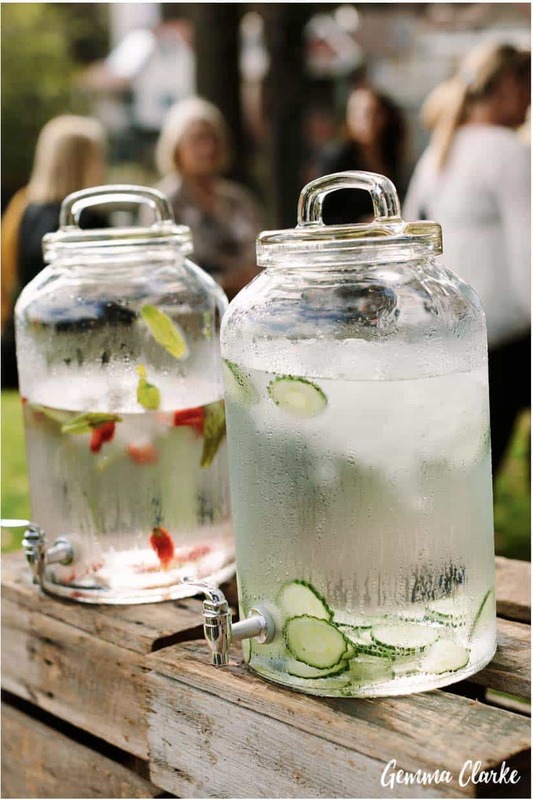 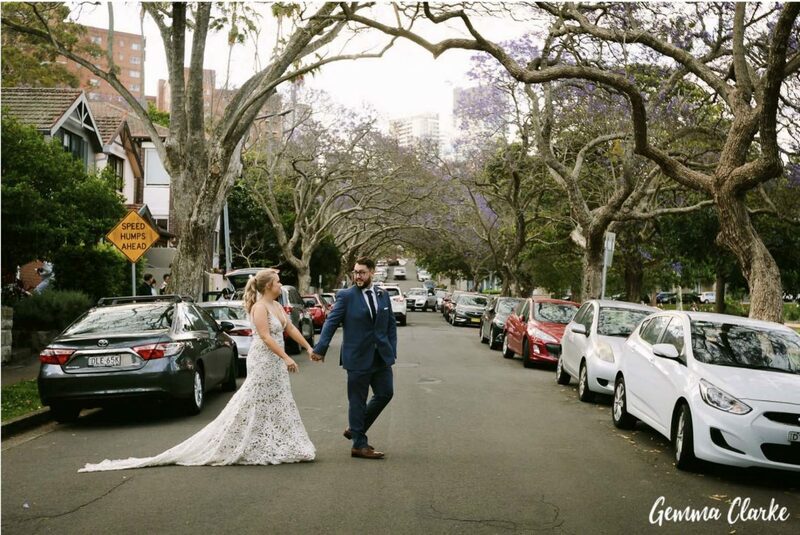 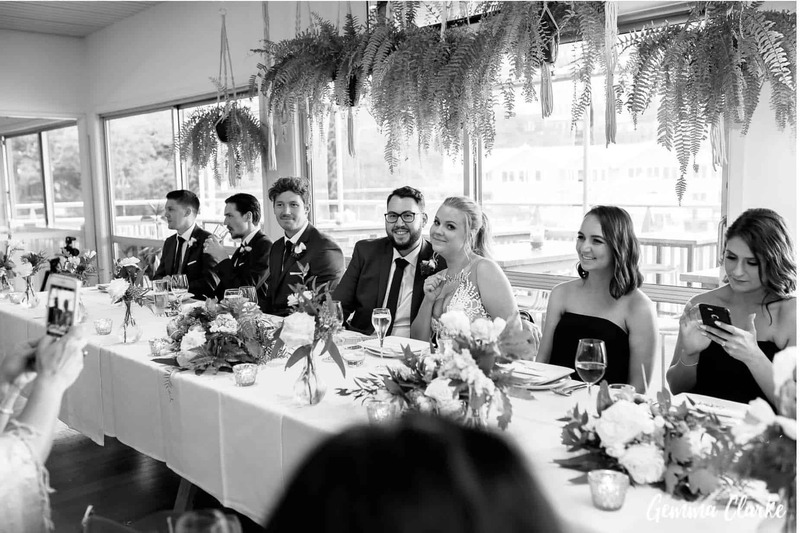 The Lavender Bay park lent itself perfectly to a rustic, natural and lush garden ceremony with family and friends hanging around after the ceremony to enjoy the gorgeous views of Sydney Harbour Bridge with a champagne in hand, thanks to the drinks station. 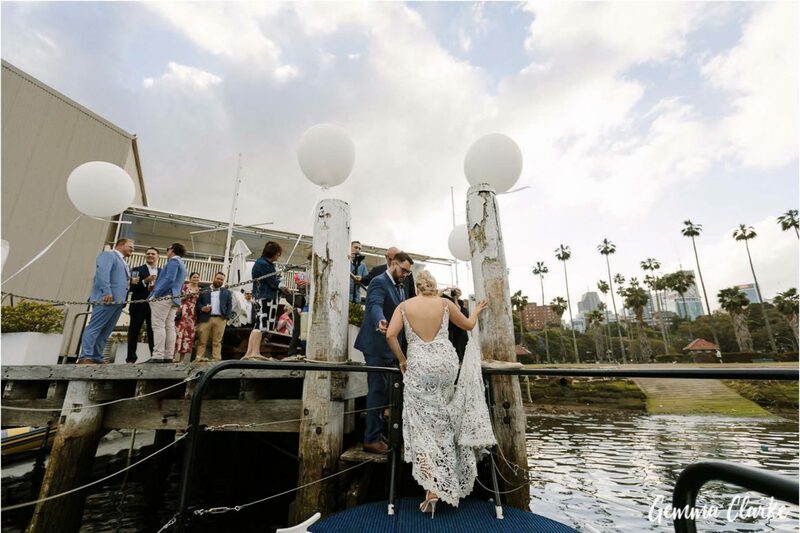 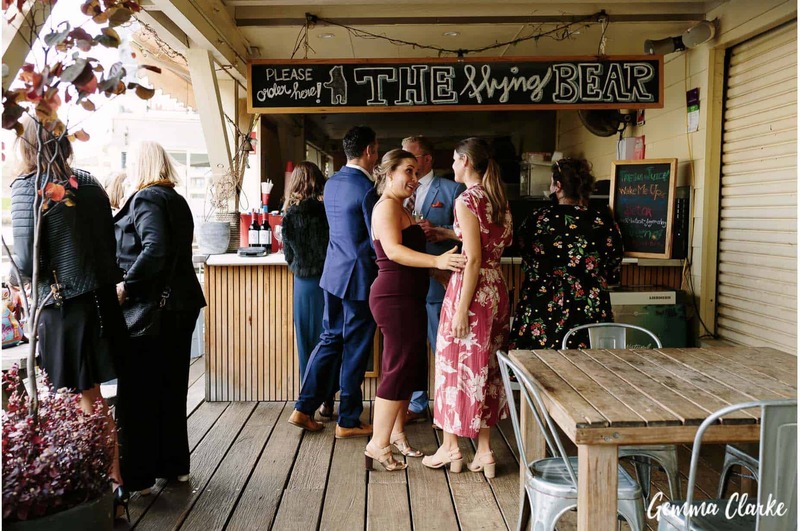 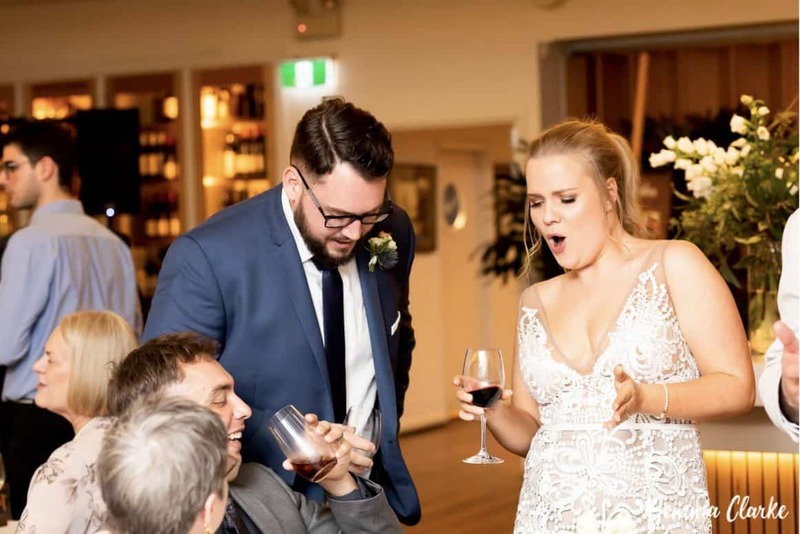 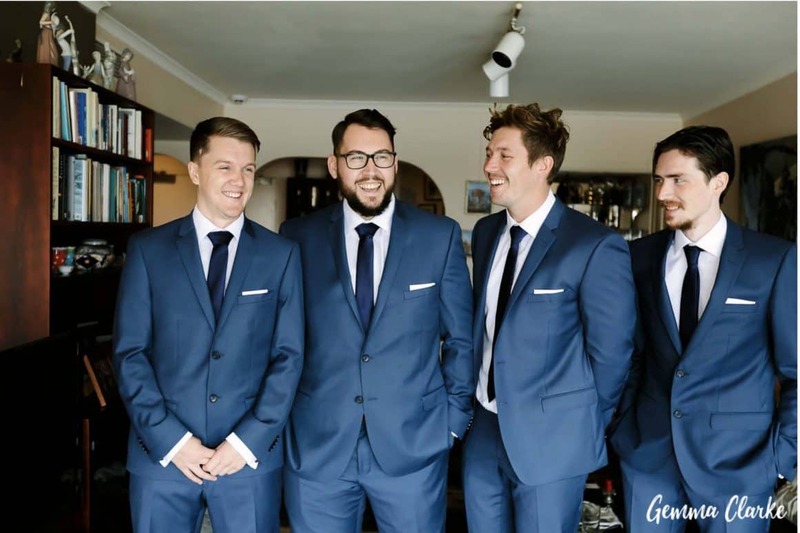 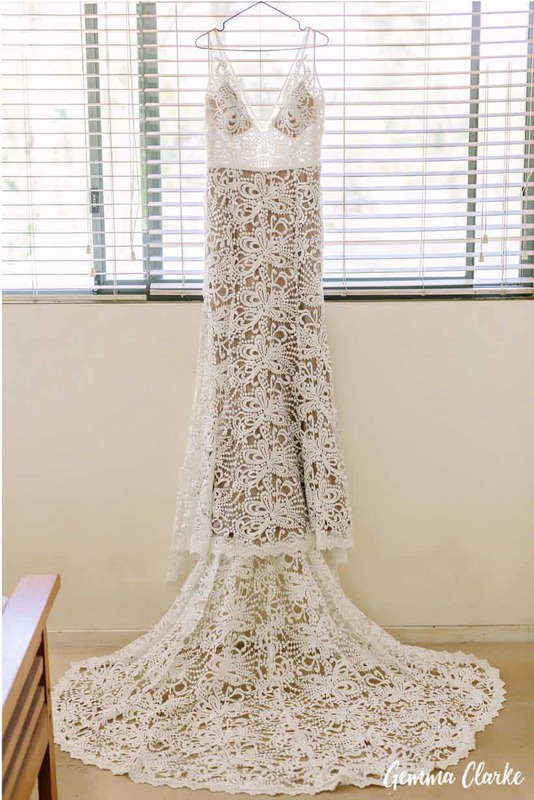 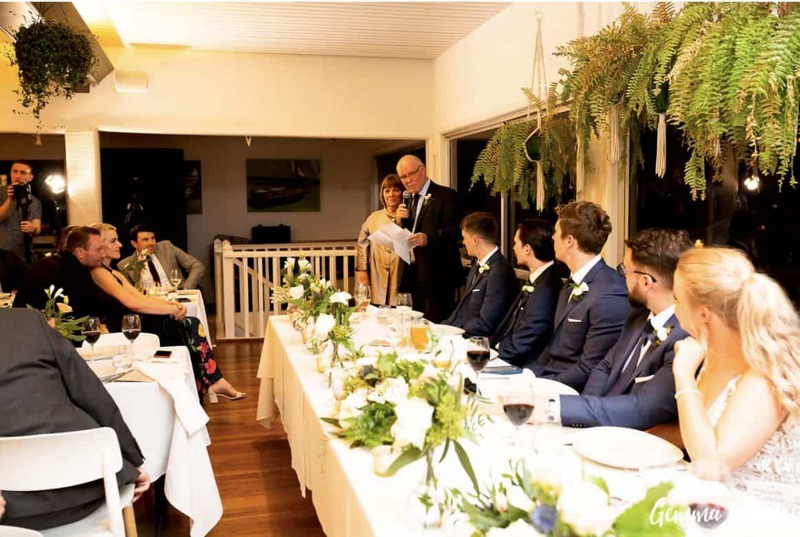 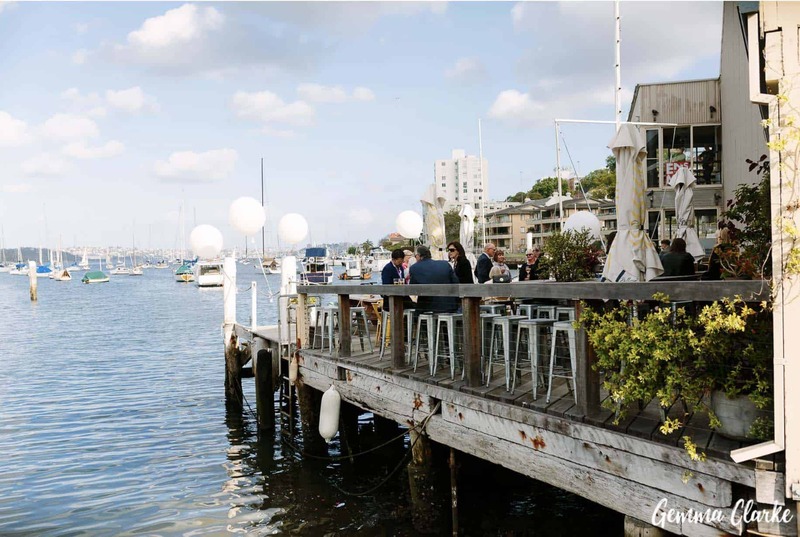 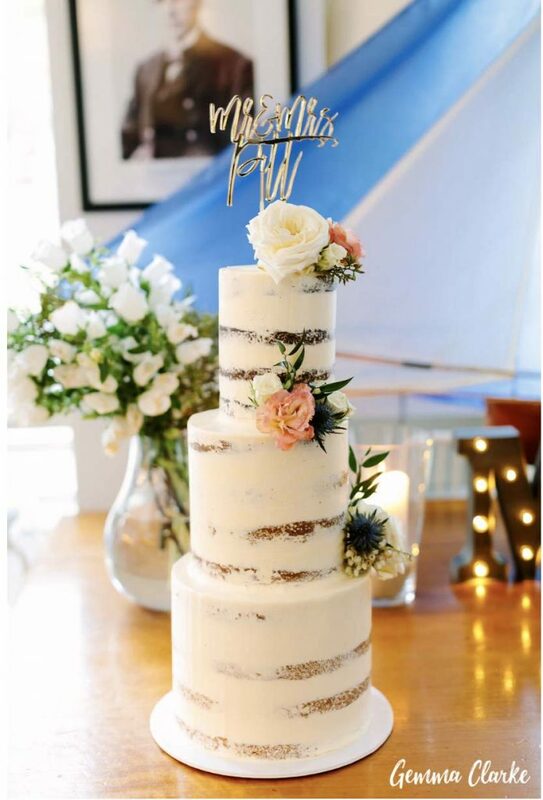 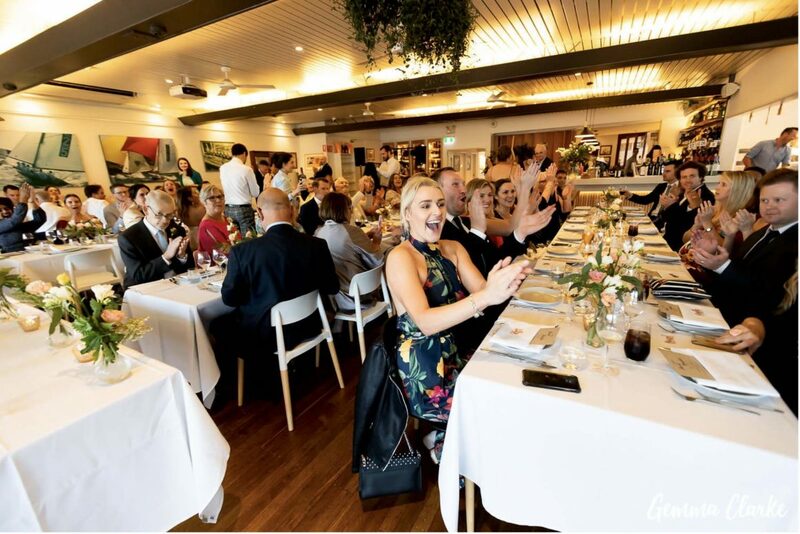 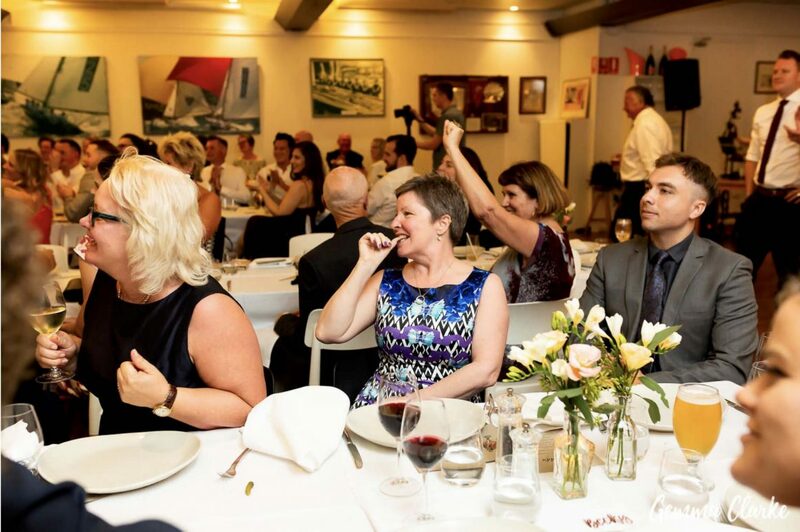 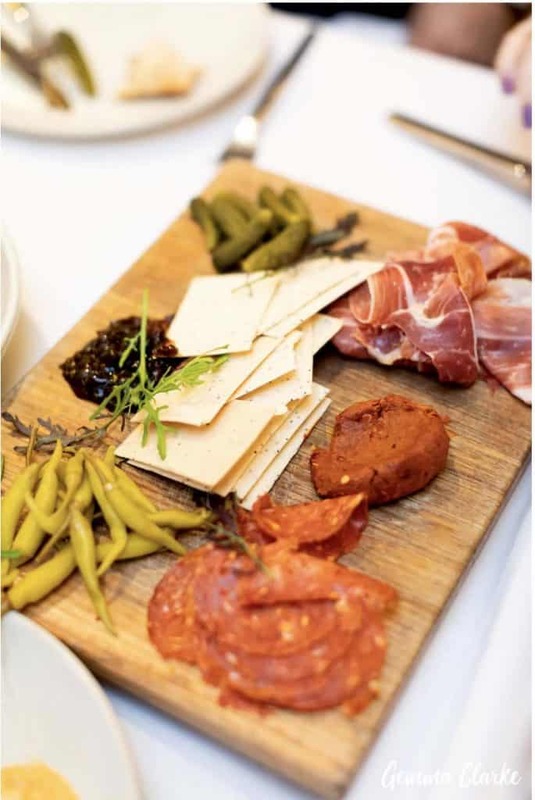 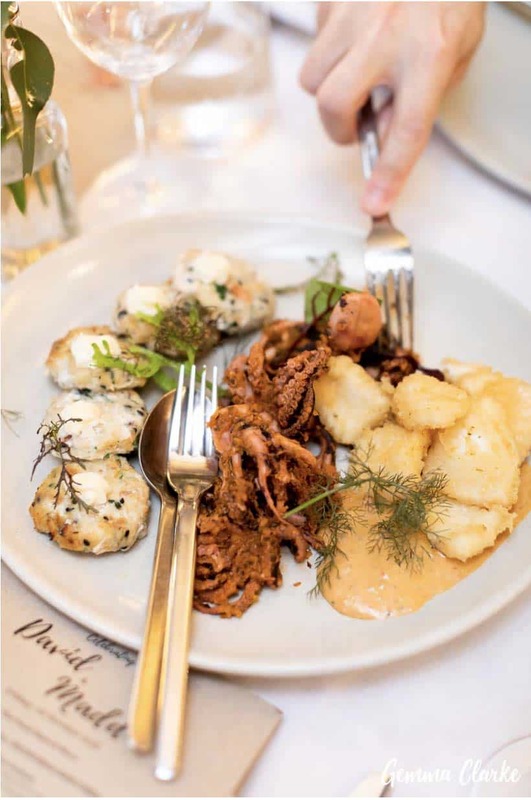 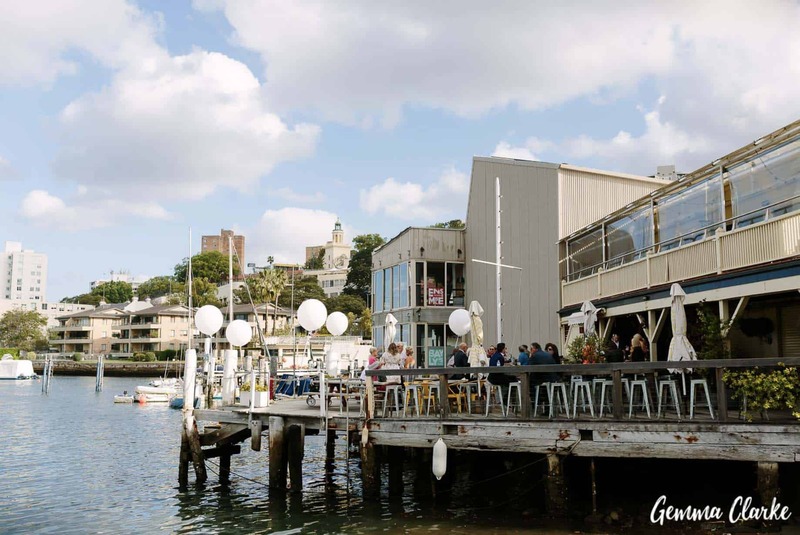 The reception followed at one of Sydney’s best harbour side venues, the Sydney Flying Squadron in Kirribilli. 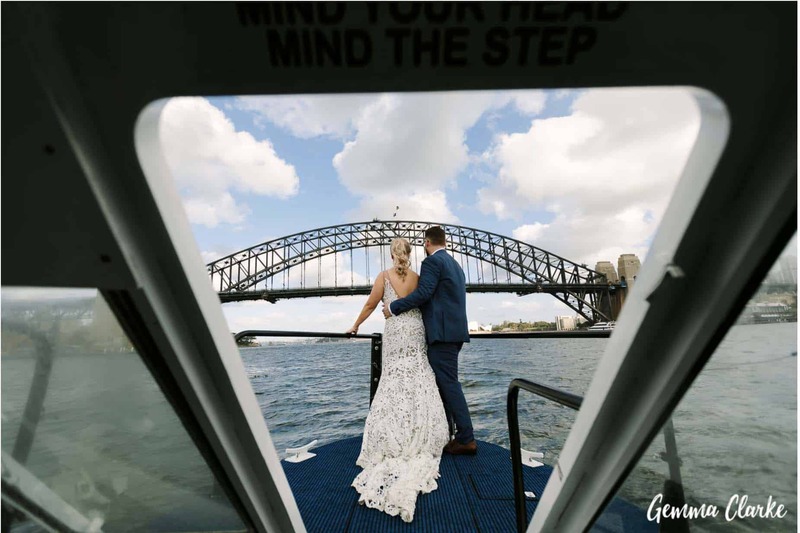 Maddie and David caught a water taxi to the reception, allowing for perfect photos on the harbour. 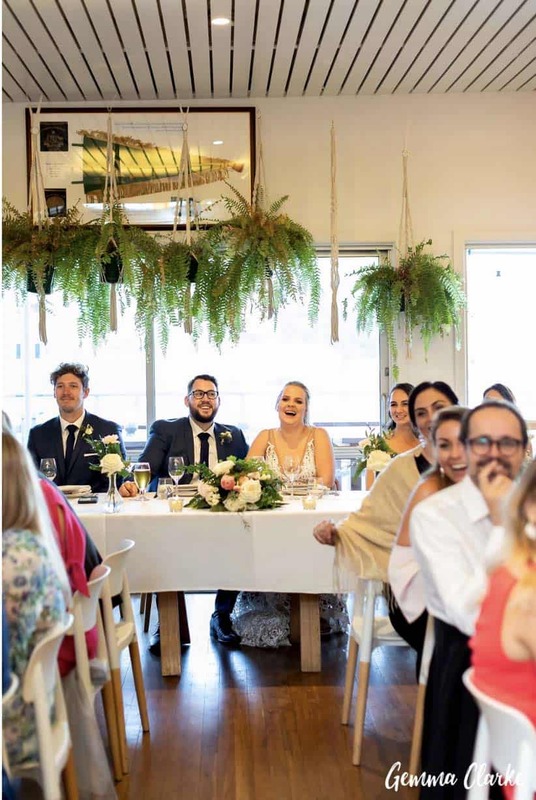 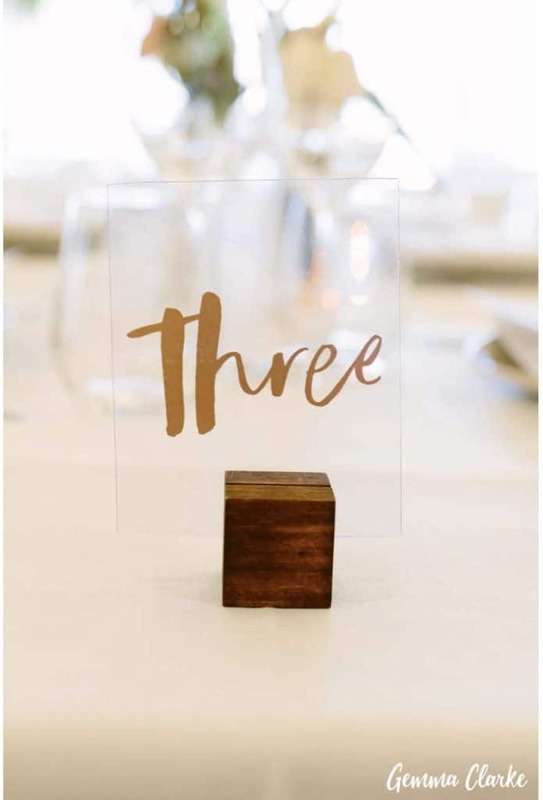 Cocktails and canapés followed on the beautiful balcony overlooking the harbour, and dinner was a relaxed and fun affair, with long rectangle tables where guest enjoyed gazing tables and share platters.